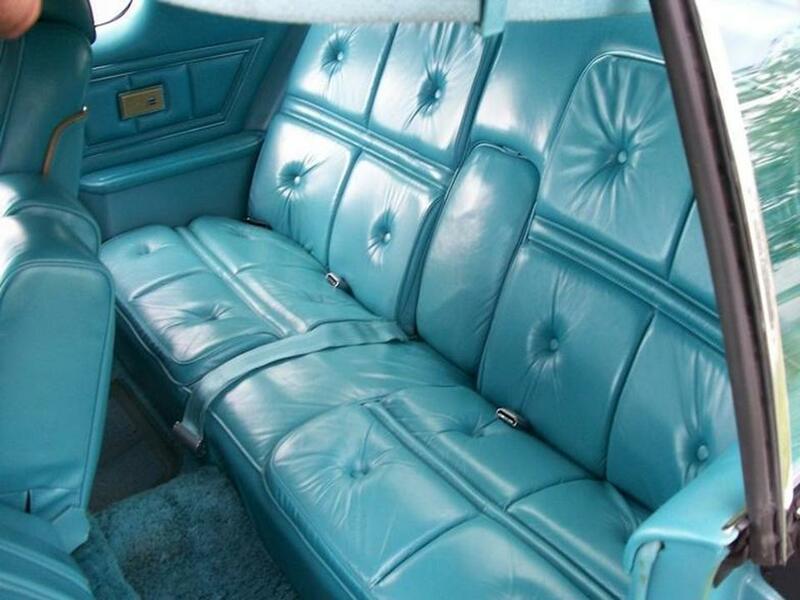 This was American Personal Luxury at its finest…….. 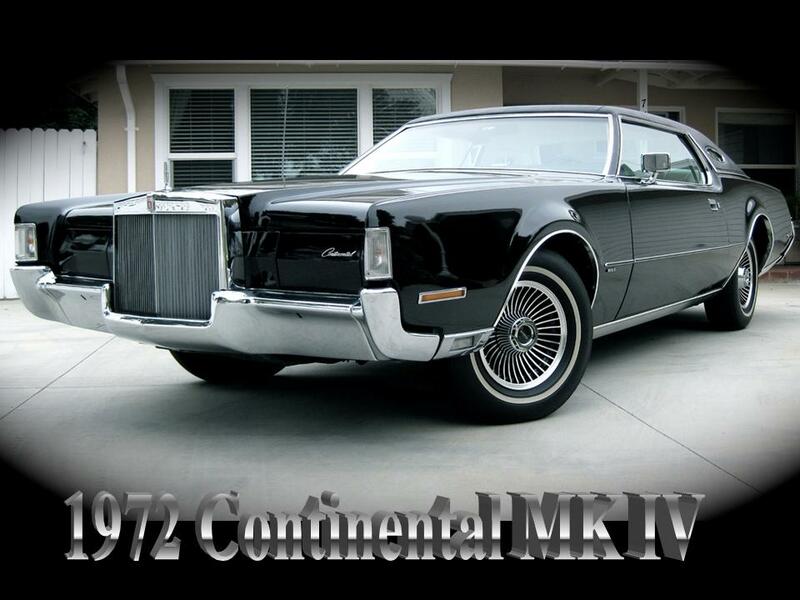 The MK IV was completely all new from the ground up. 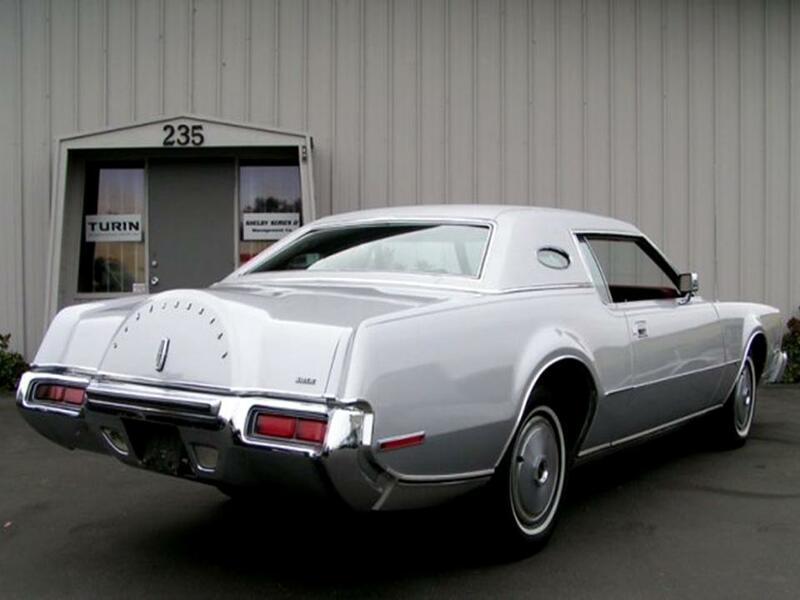 It still shared a platform with the Thunderbird but no sheet metal. 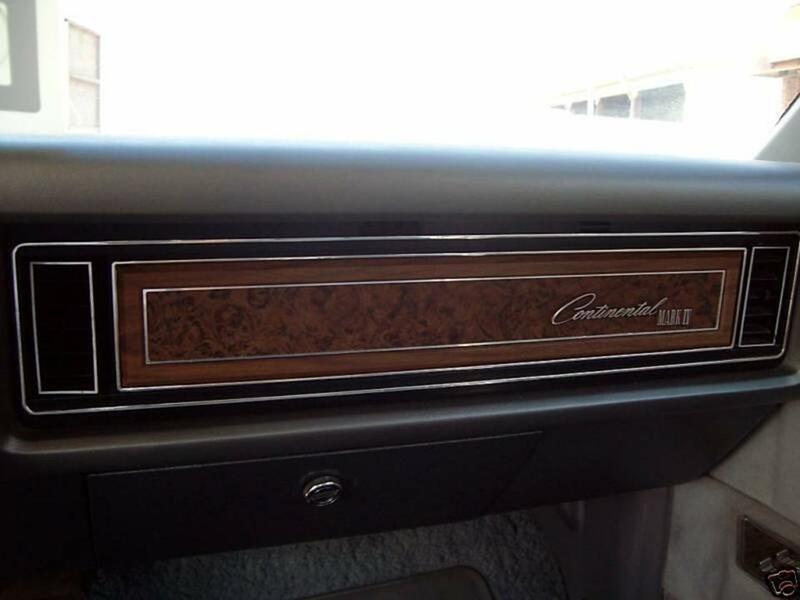 The MK IV offered opera windows with a hand-ground Continental star embedded as an option in 1972, it was so popular that it was made standard for the 1973 model year. 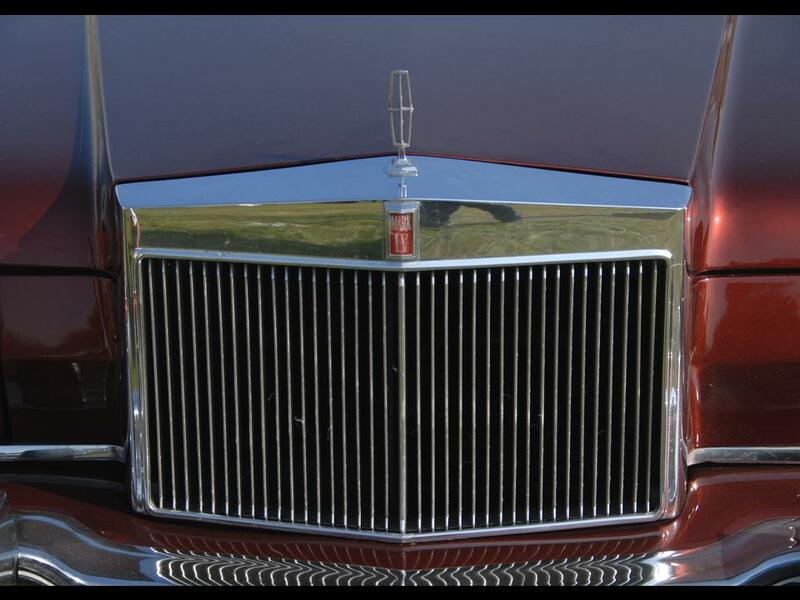 The MK IV sported the vacuum operated hide-away headlamps and distinctive “Mark” grille. 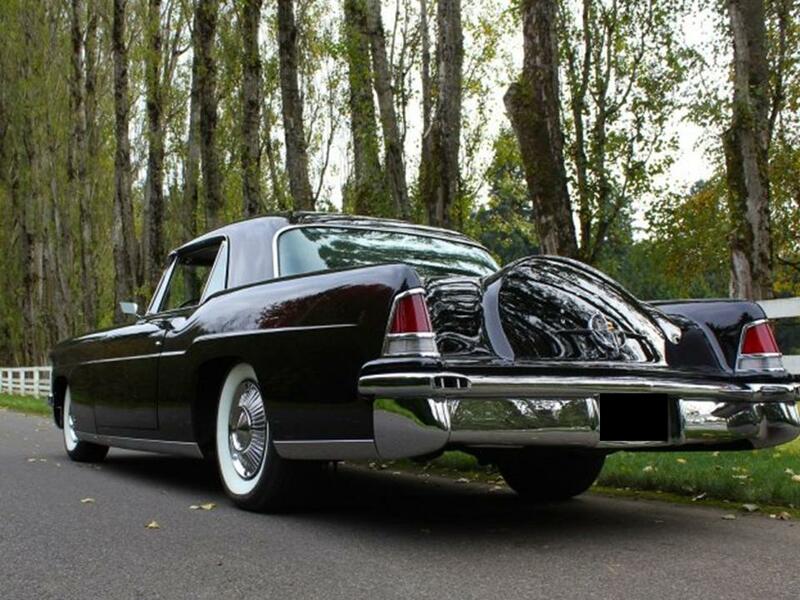 Its sweeping knife-blade fenders were more rounded and anonymously swept to the rear augmenting the iconic spare-tire design in the deck lid. 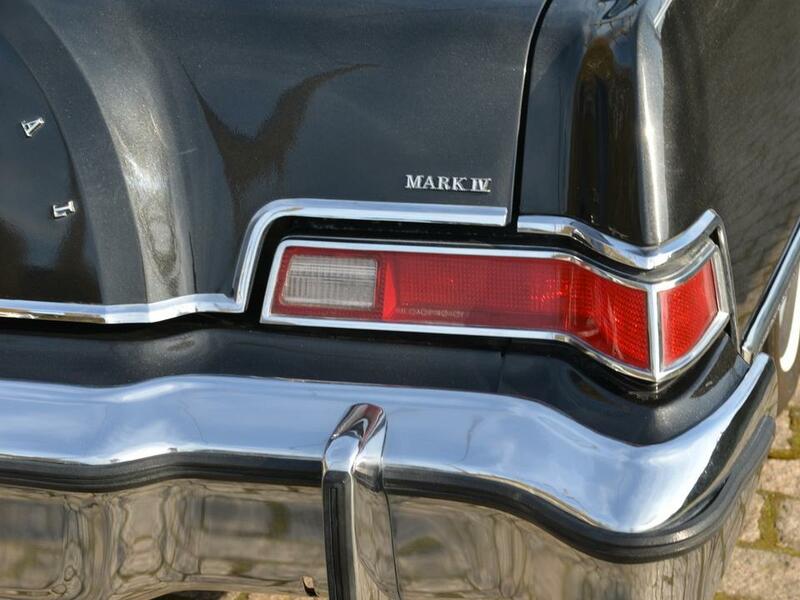 There was Moondust, Moon Roof; a showcase of opulence was this all new Mark. 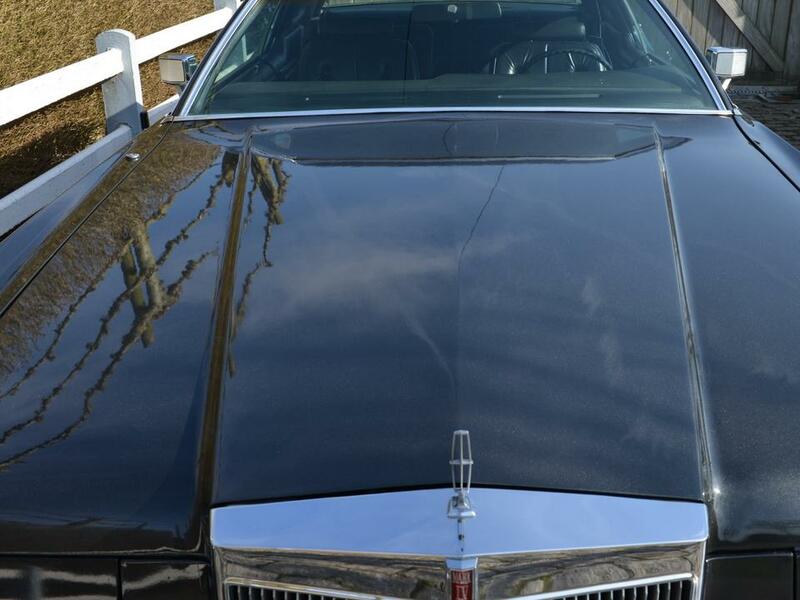 Lincoln introduced the chrome-glass sunroof known as the “Moon Roof.” The chrome tint made it a one way glass, the occupants could see out but it was opaque on the outside so no one could look in. 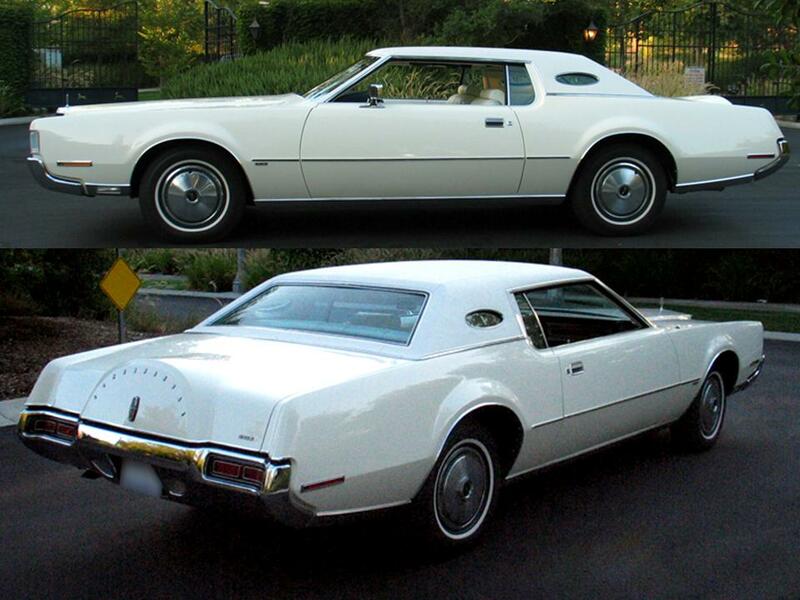 The first in the series of optional luxury editions was the “Silver Luxury Group” introduced for the 1973 model year. 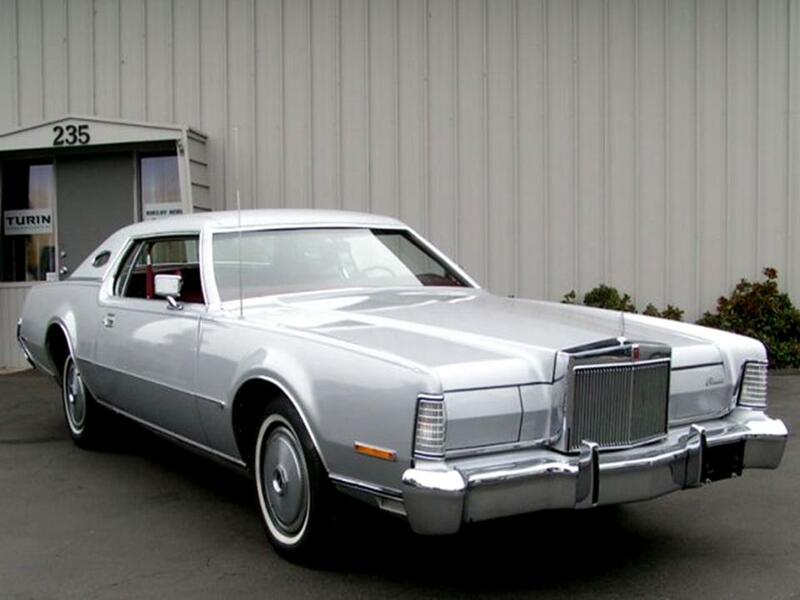 The metallic finish was called Silver Moondust; it had a matching vinyl roof. 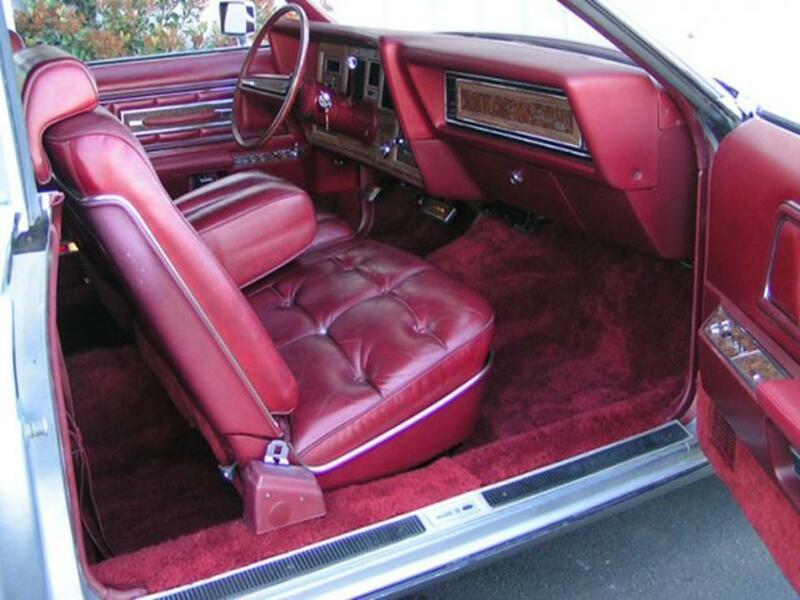 The interior was done in your choice of cranberry red or silver in either a luxurious velour or top grained leather. 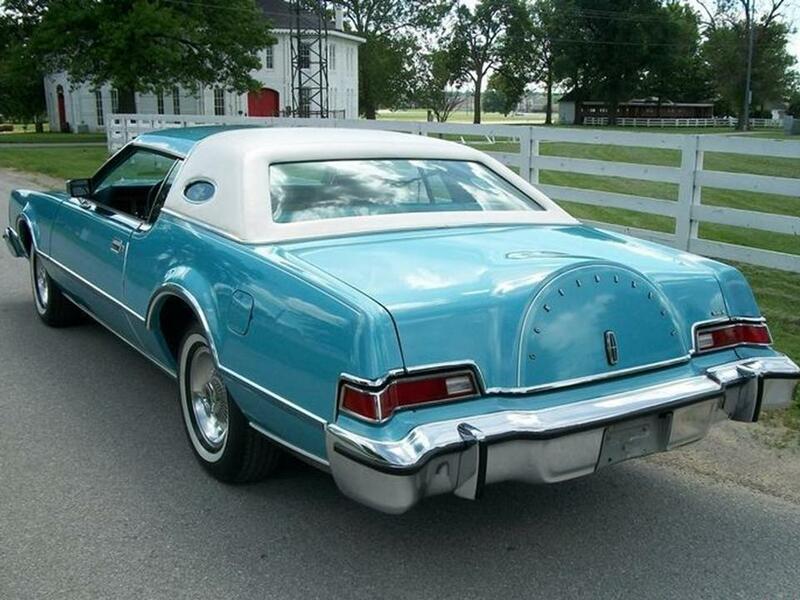 And of course, it was crowned with a silver Moon Roof. 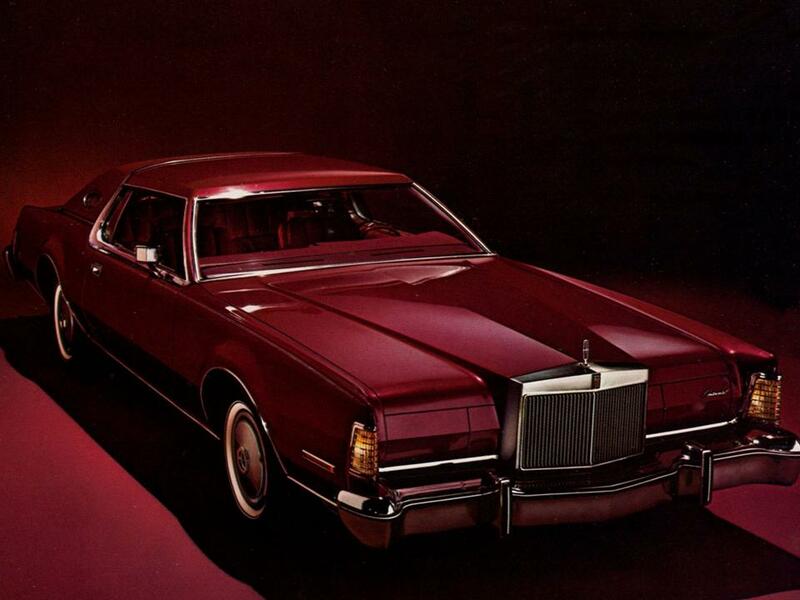 Through the next years there were a series of color combinations such as the Jade/White, Lipstick Red/White, triple white, Saddle/White, crème/gold, and the Gold Luxury Group to name a few of the more popular choices. 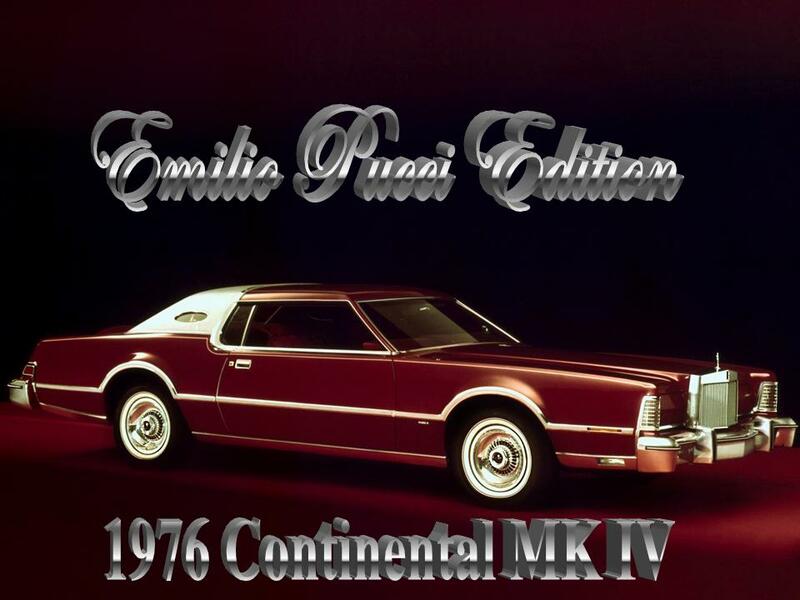 In 1976 Bill Blass, Givenchy, Cartier, and Emilio Pucci lent their style to limited edition Continental MK IV’s. 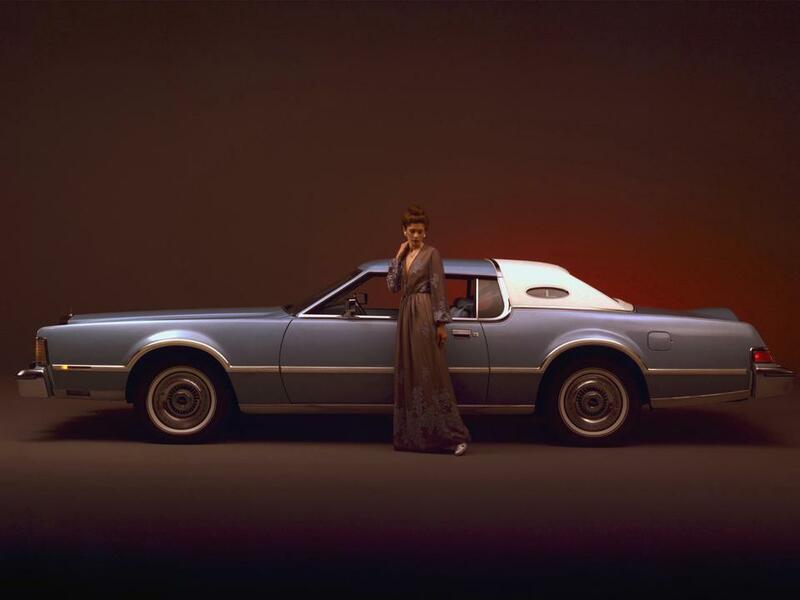 The Bill Blass Edition was in dark blue with a crème Normande Grain vinyl roof, The Cartier Edition was dove grey, the color of fresh water pearls with a matching Valino Grain vinyl roof, The Givenchy Edition was aqua blue Diamond Fire with a white Normande Grain vinyl roof and The Pucci Edition was finished in dark red Moondust with a silver Normande Grain vinyl roof. 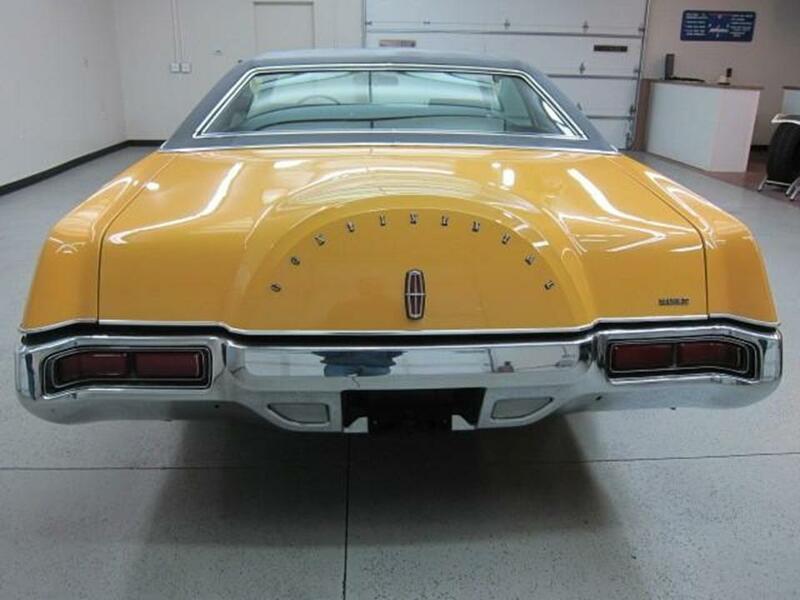 Full and landau roof treatments along with premium body side molding, moon roofs, forged aluminum wheels, and various power assists were available to make one’s own Mark. 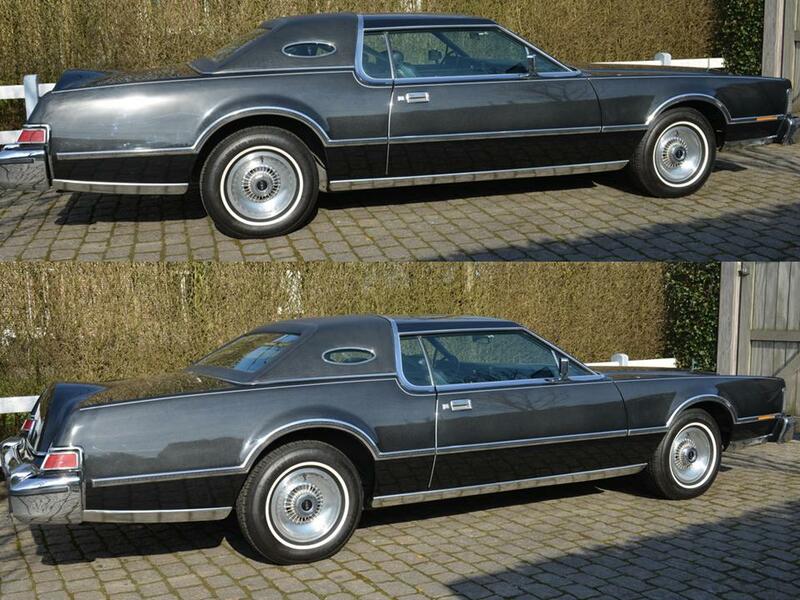 The MK IV had subtle styling changes during its tenure. 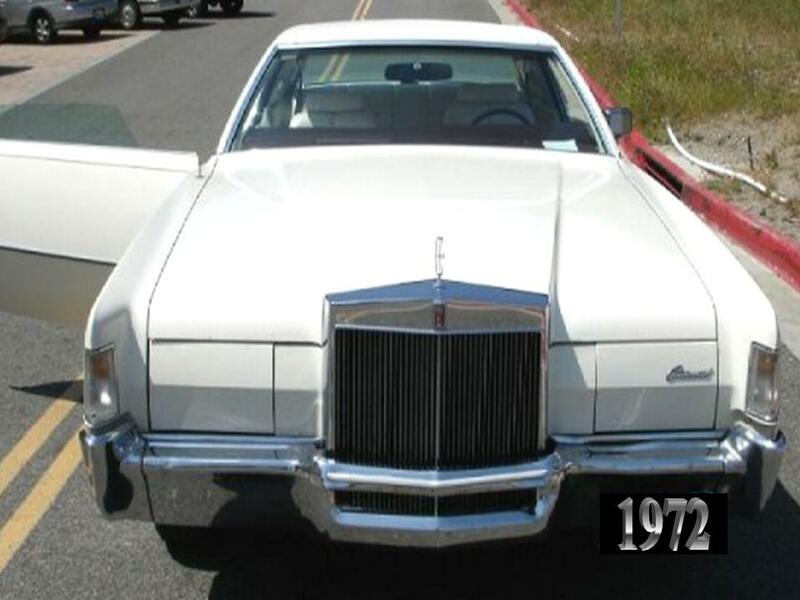 The 1973 model year received a new front 5 mph impact bumper and a shorter grille. 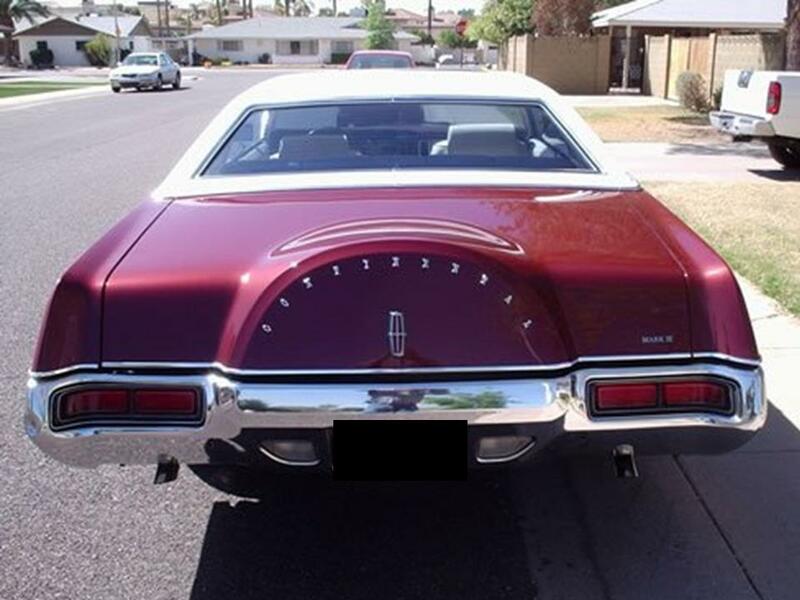 The 1974 model year got a refresh in the rear with the new Government mandated 5 mph impact bumper with new tail lamps. 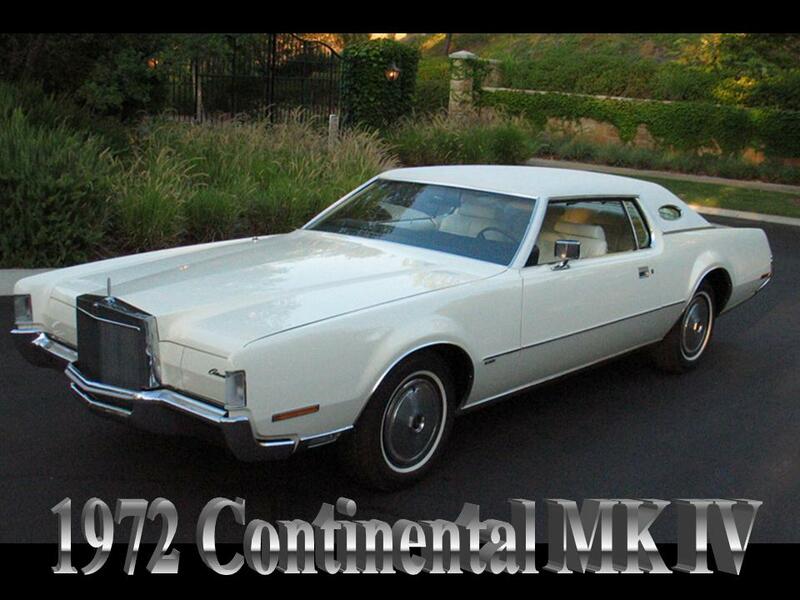 From 1974-1976 the Continental MK IV remained unchanged in appearance. 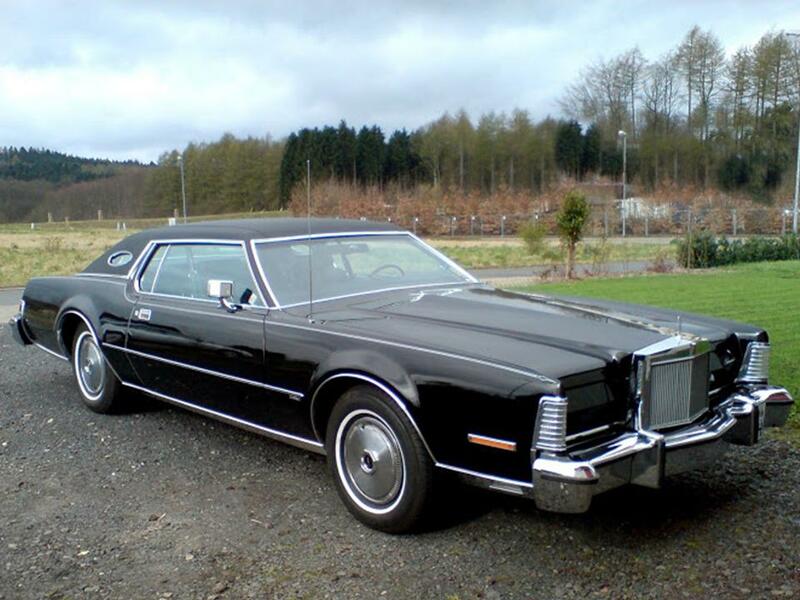 The Continental MK IV was powered by the Ford 385 Series 460 CID 7.5 litre V8 engine. 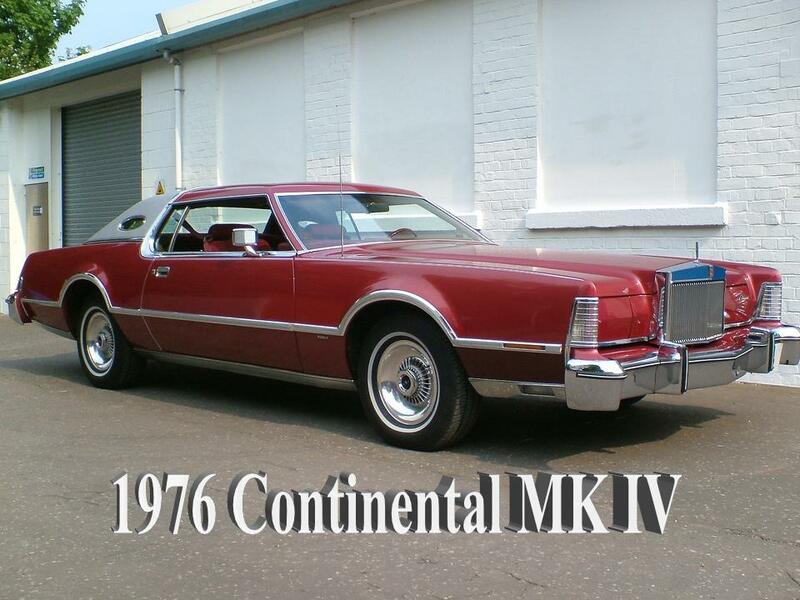 The MK IV was losing hp due to the EPA and the Oil Embargo. 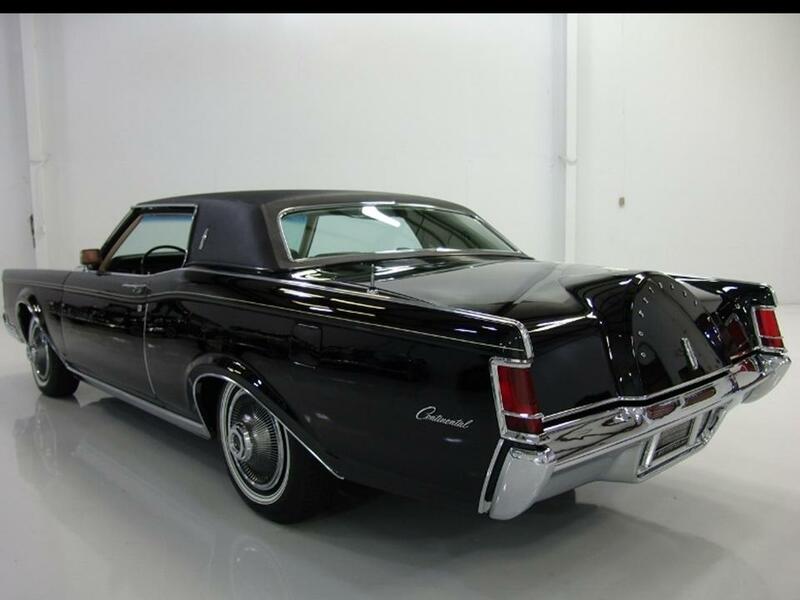 The 460 was tuned to produce 220 hp @ 4,000 rpm with 482 Nm of torque @ 2,600 rpm. 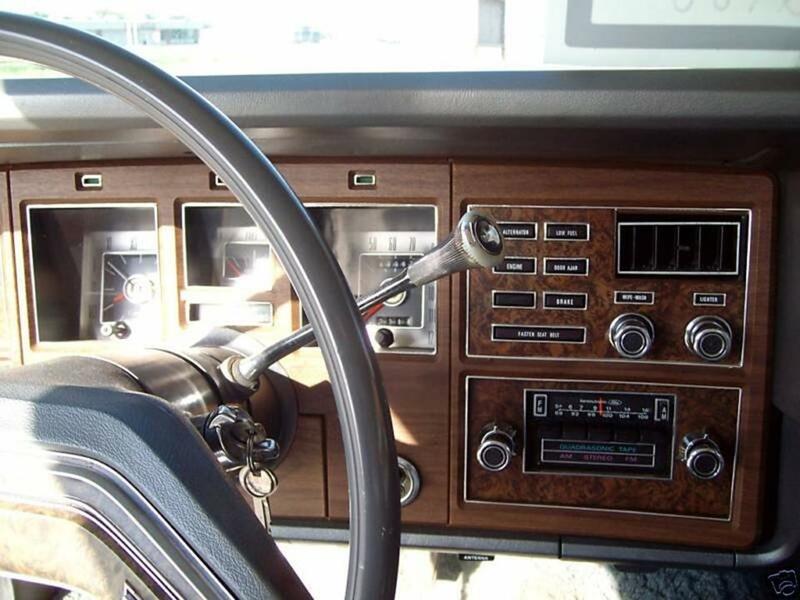 By the 1976 model year hp had been reduced to 212 @ 3,800 rpm and torque 482 Nm @ 2,200. 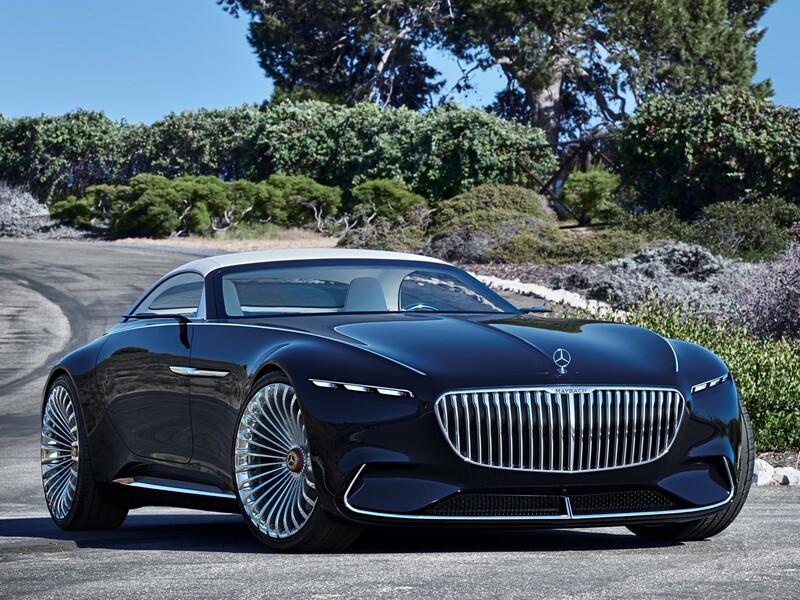 It could go from 0-60 mph in 12.1 seconds, 0-100 mph in 37.8 seconds, with a top speed of 119 mph. 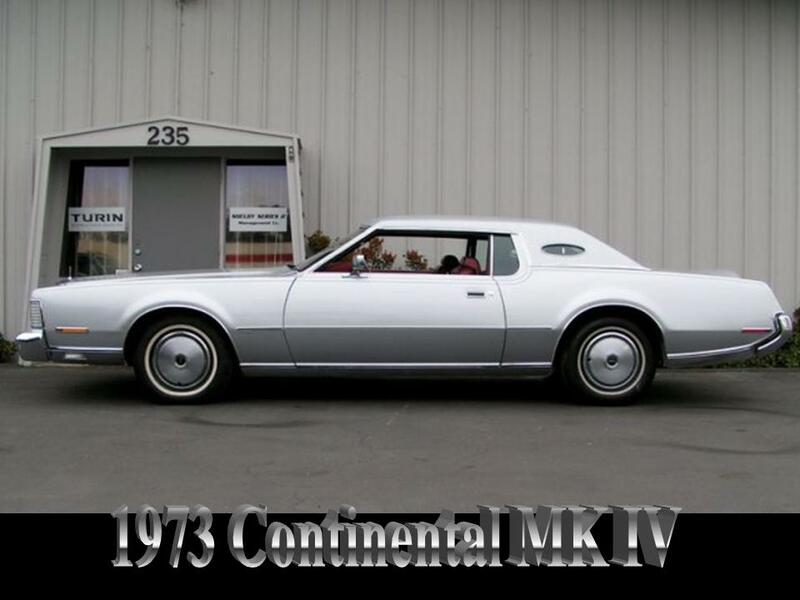 The MK IV could do the ¼ mile @ 77 mph in 18.9 seconds. 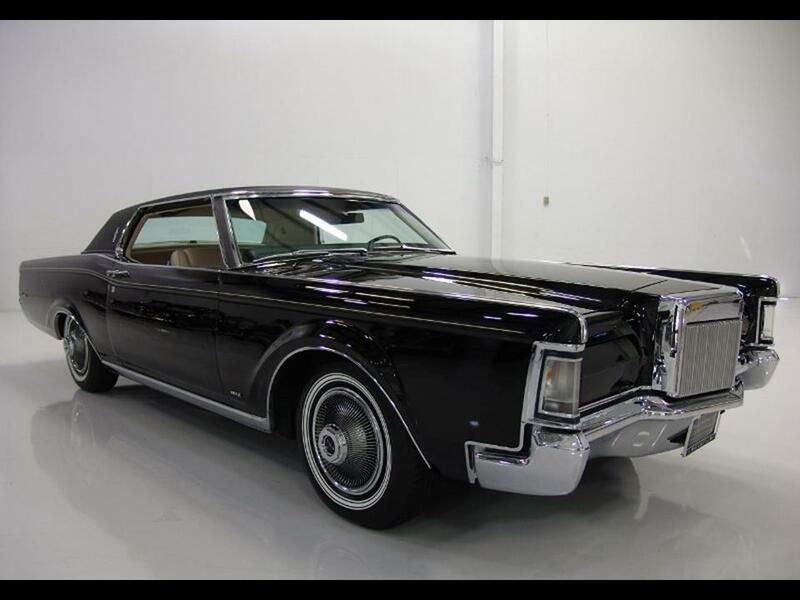 But then, no one was drag-racing their Continental MK IV anyway. 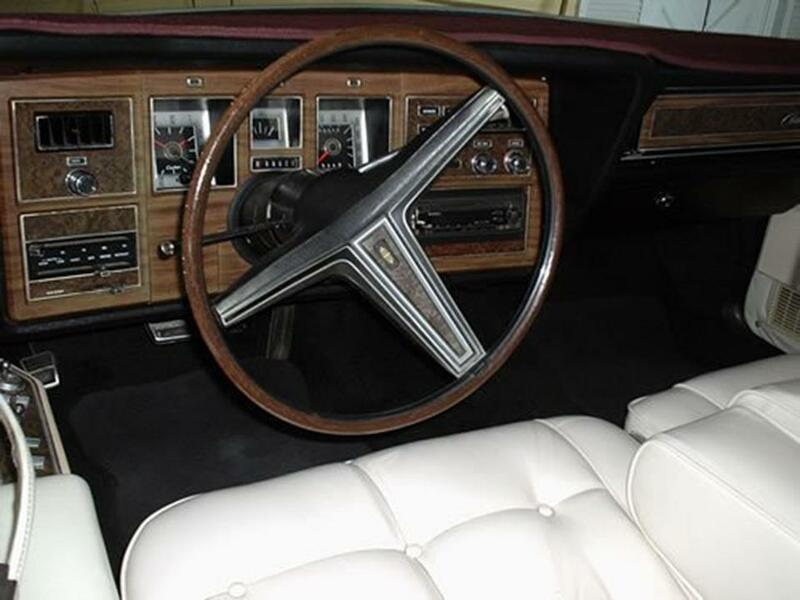 The engine was paired with a 3-speed automatic transmission. 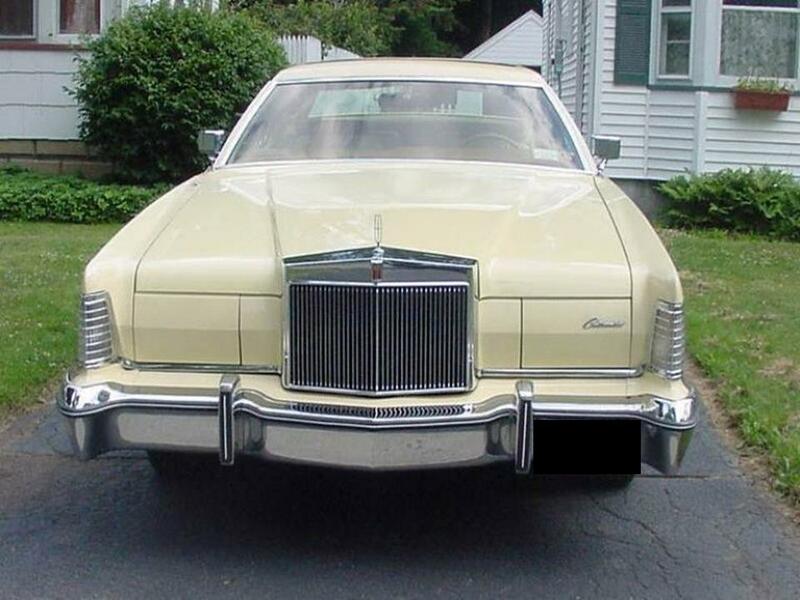 The Continental MK IV rode on a traditional frame as front engine and rear drive. 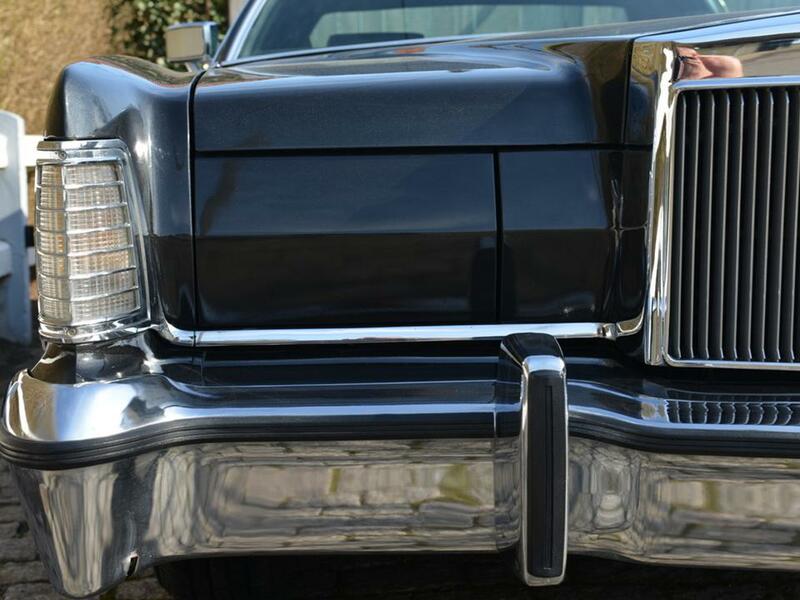 The front end used upper and lower control arms with those magnificent Fomoco bushings that produced the magic carpet ride. 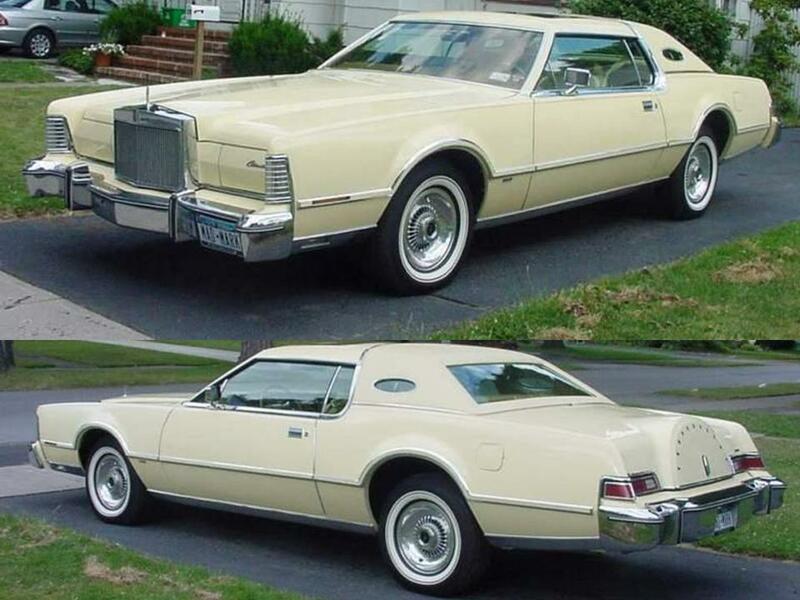 I had one, the car glided along effortlessly. 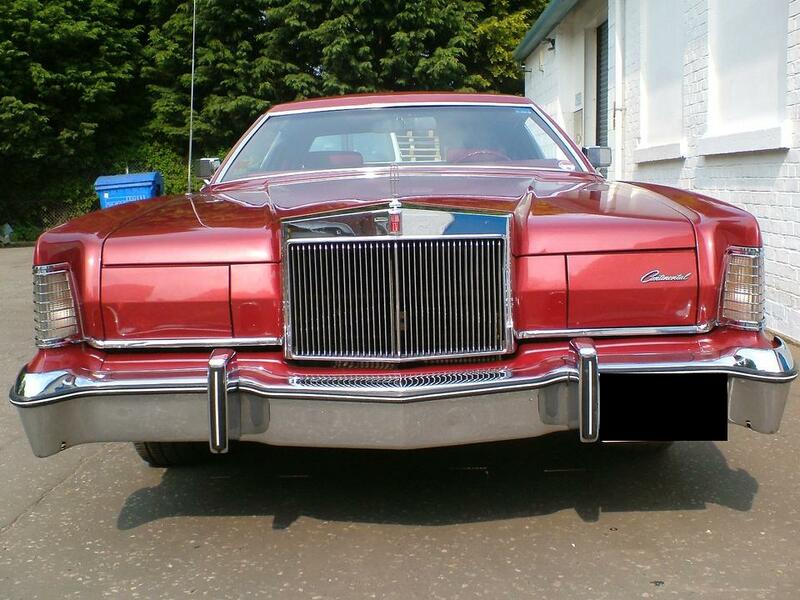 The wheelbase was 120.4”, its width was 79.8”, and was 228.1 in length. 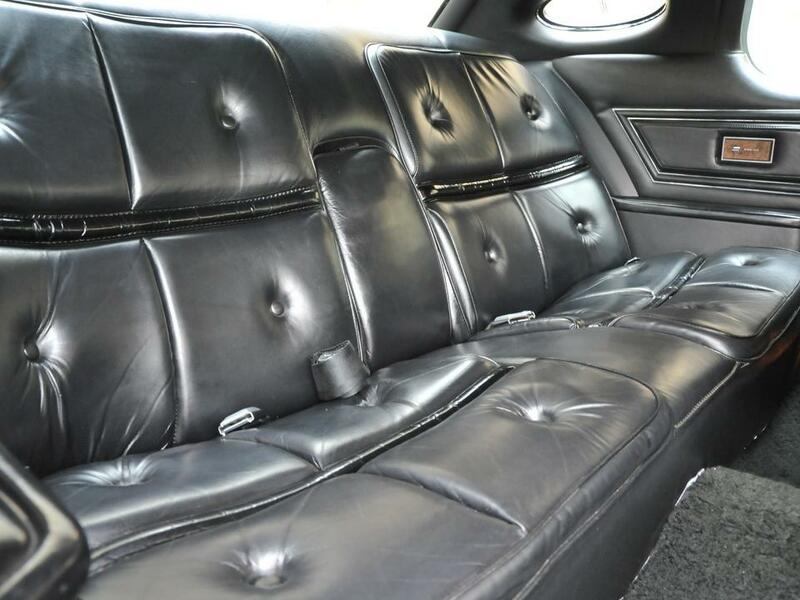 It was a heavy car with a solid ride at 5,300+ pounds. 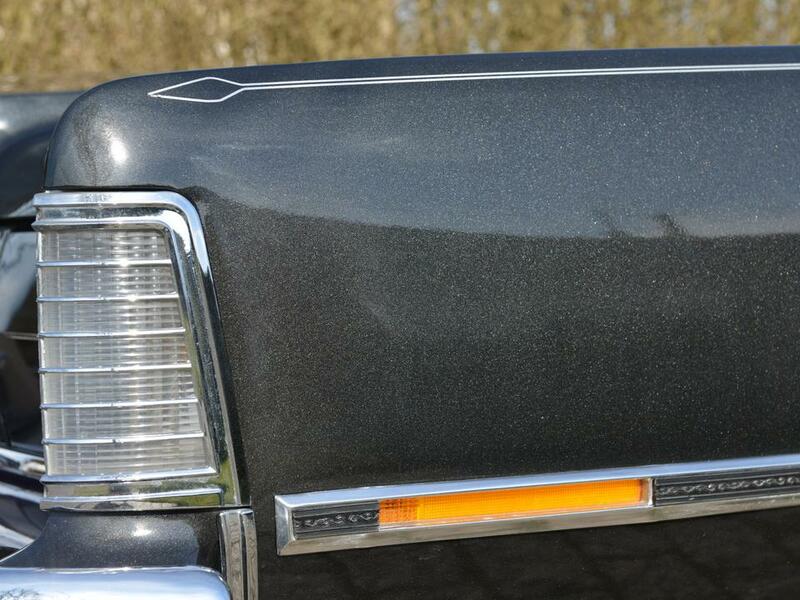 Its luxury length combined with the solidity of its weight contributed to the effortless ride dynamics. 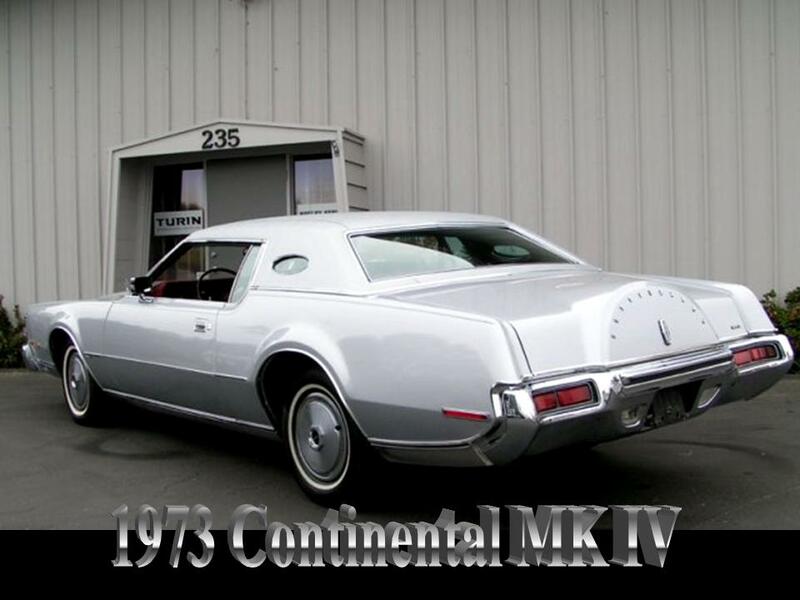 Production totals for the Continental MK IV are as follows: 1972 model year 48,591 units base priced at $8640, 1973 model year 69,437 units base priced $8984, 1974 model year 57,316 units base priced $10,194, 1975 model year 47,145 units base priced $11,082, and the 1976 model year 56,110 units base priced $11,060. 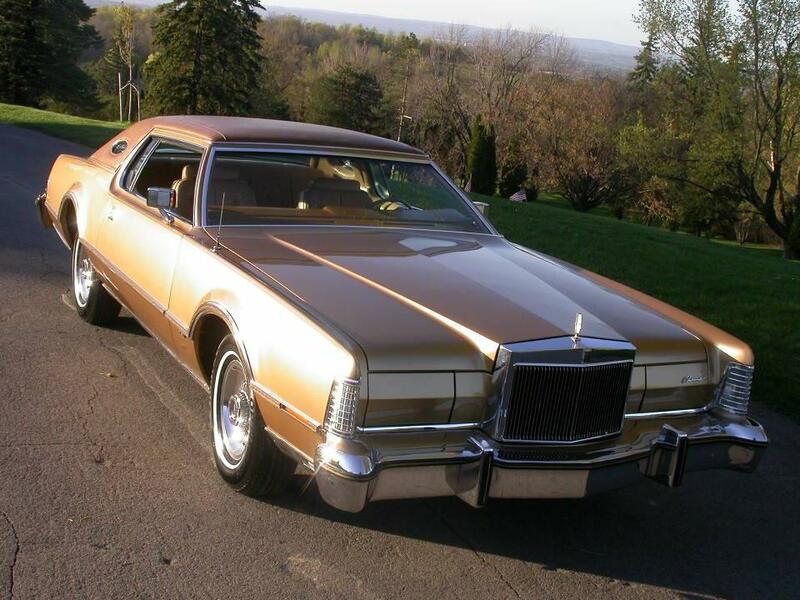 The Continental MK IV gave the Cadillac Eldorado a run for its money. 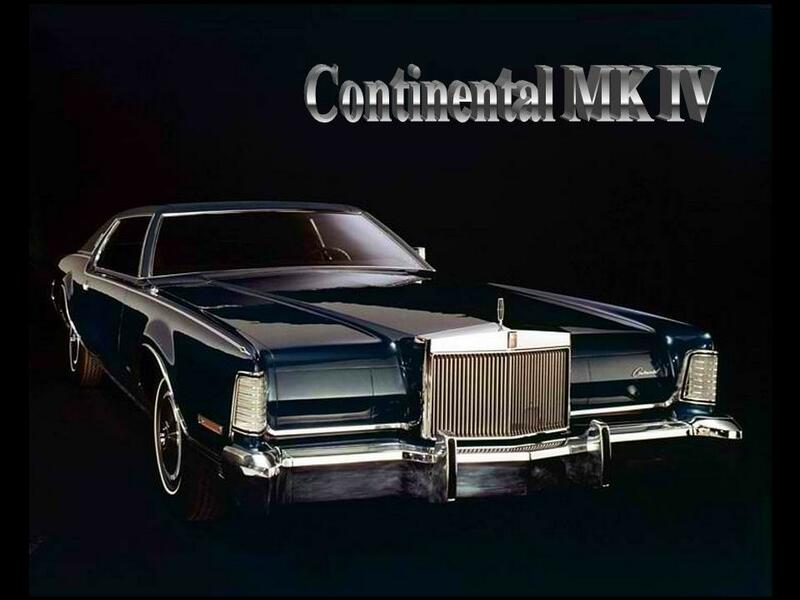 Unfortunately, time wasn’t kind to the MK IV series and it was not as well made as the Continental MK III. 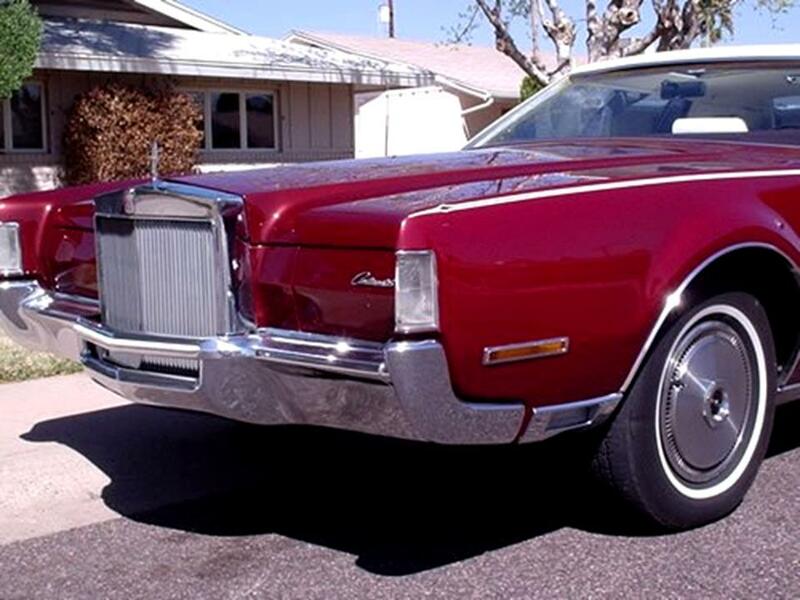 Quality issues plagued both Thunderbird and the MK IV, and were known in the industry as “Ford’s luxury lemons.” Rust ate these cars relentlessly. 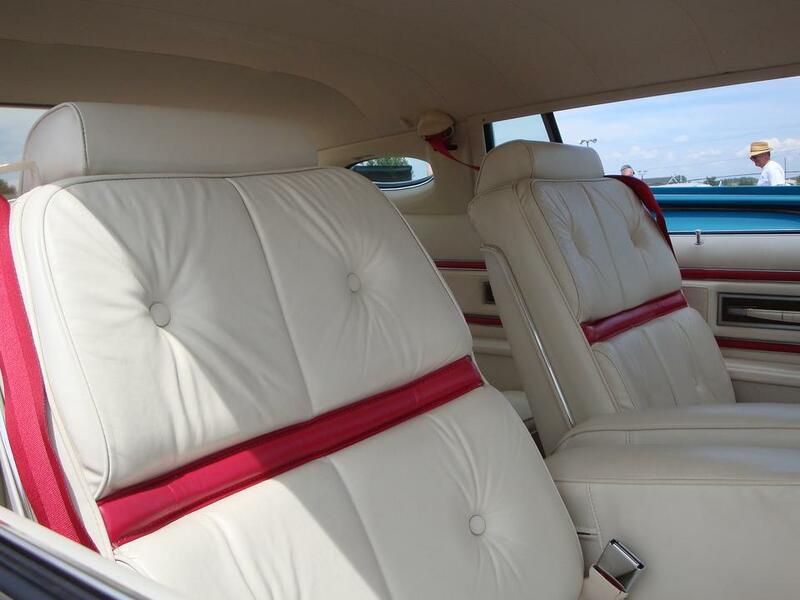 The luxuriously appointed interiors had cracking leather and fading trim. Knobs fell off, electric motors and switches shorted out leaving all of that power equipment as expensive junk. 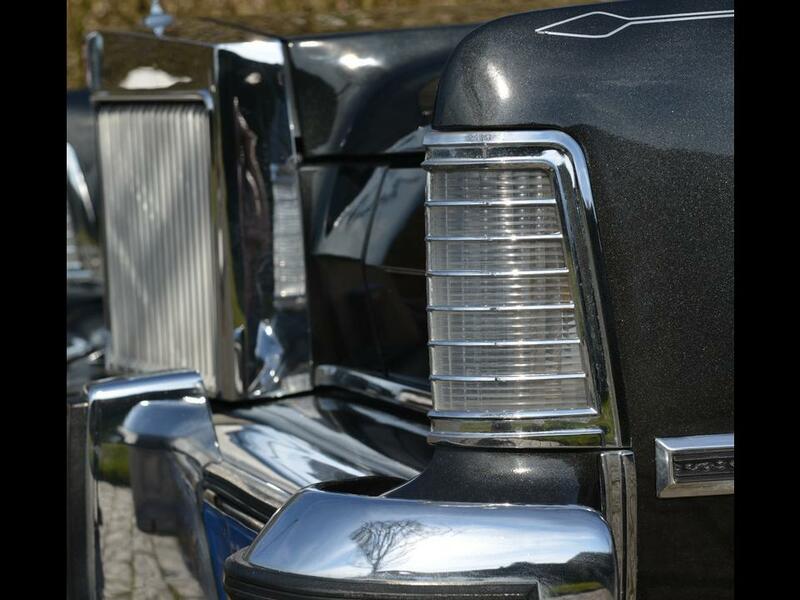 I was horrified to see how fast these beautiful cars became scrap metal. 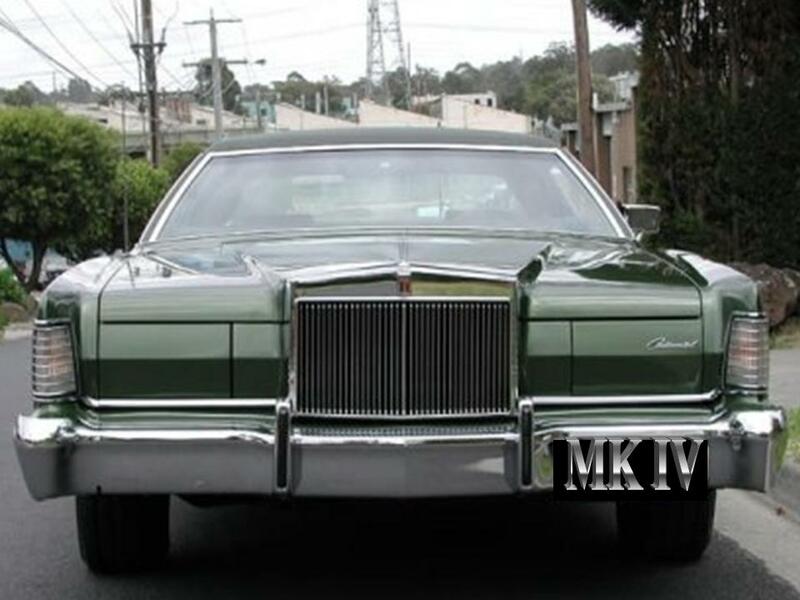 It seems as though the lessons learned in economic success with the MK III were totally forgotten with the MK IV series. 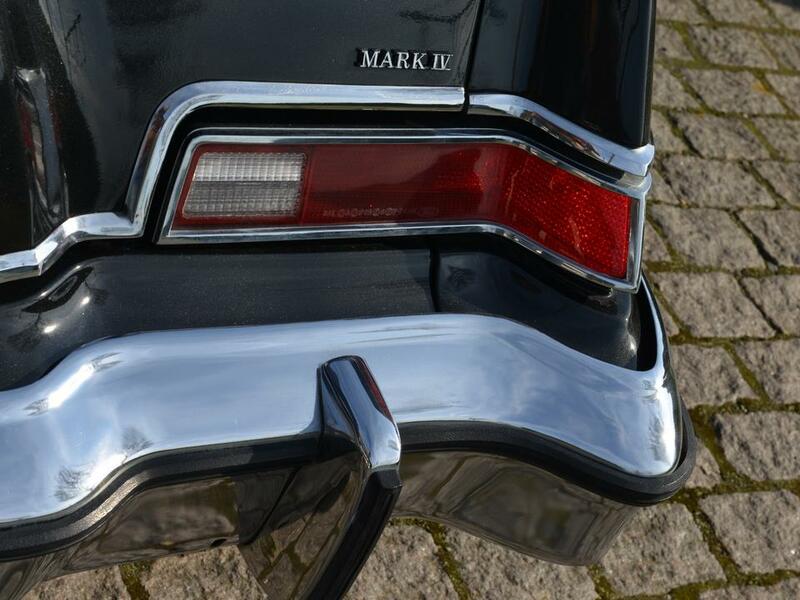 And the Mark series got progressively worse with each subsequent model until its demise. 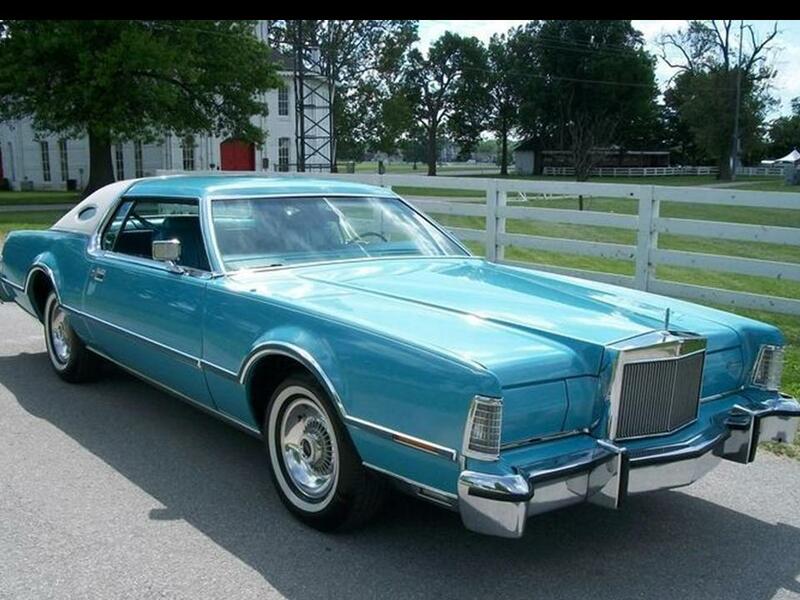 To watch all of that money, $10,000, rust away was too painful to see……..
My favorite car of all time. Quality without compromise. Unitary body on fully welded box-frame, laminated sheet-metal (the latter is only a downside if you get moisture between the layers and then the rust will eat the car). 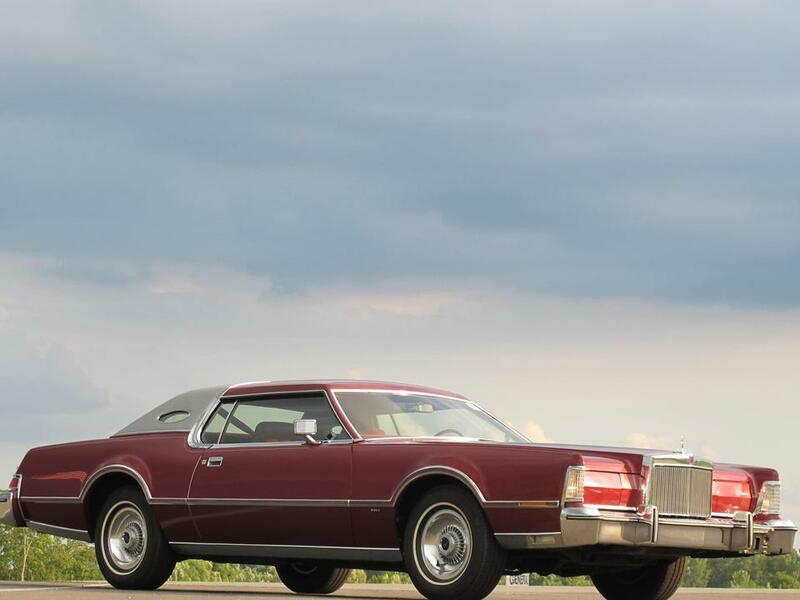 The relatively short wheel-base took a bit of getting used to and the 460 notoriously had the plug-wires connected according to the 429 firing-order. 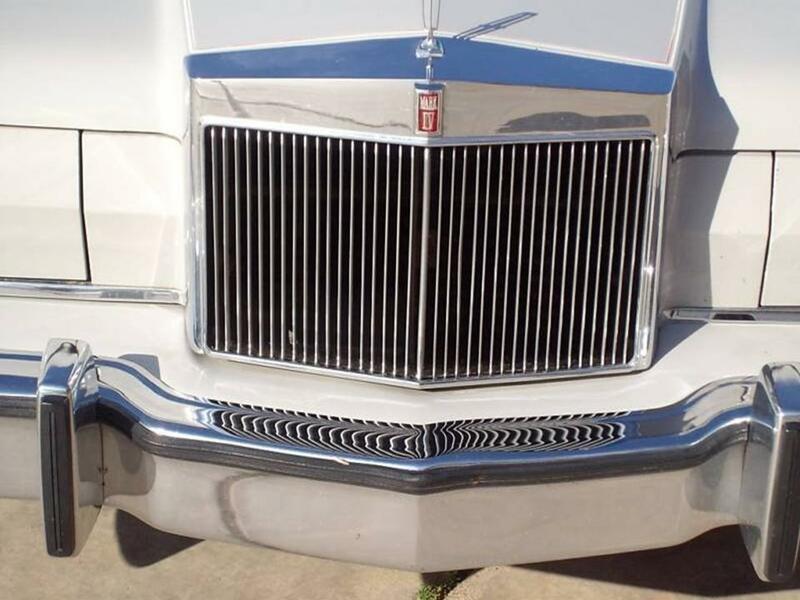 Zero rear-view, massive blind-spots, and the view out front below the horizon was all hood. 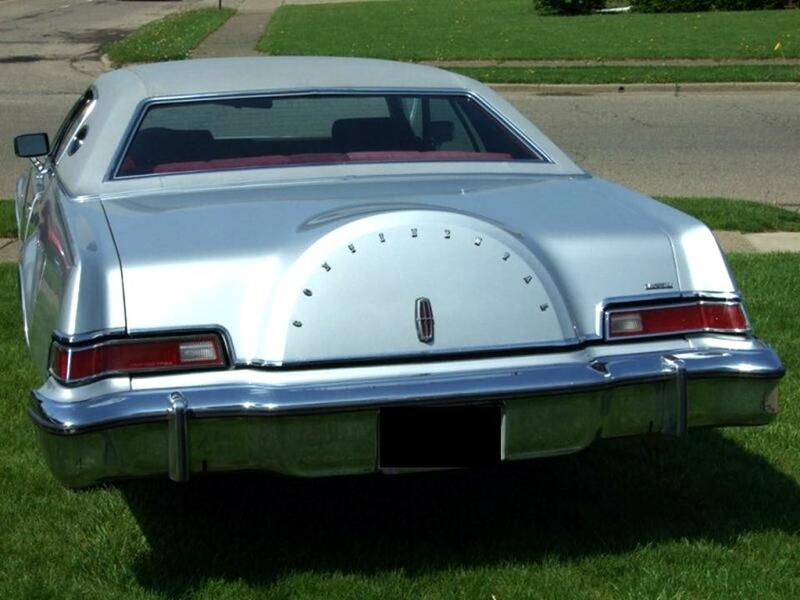 This car has built-in right-of-way as nobody wants to get hit by it. 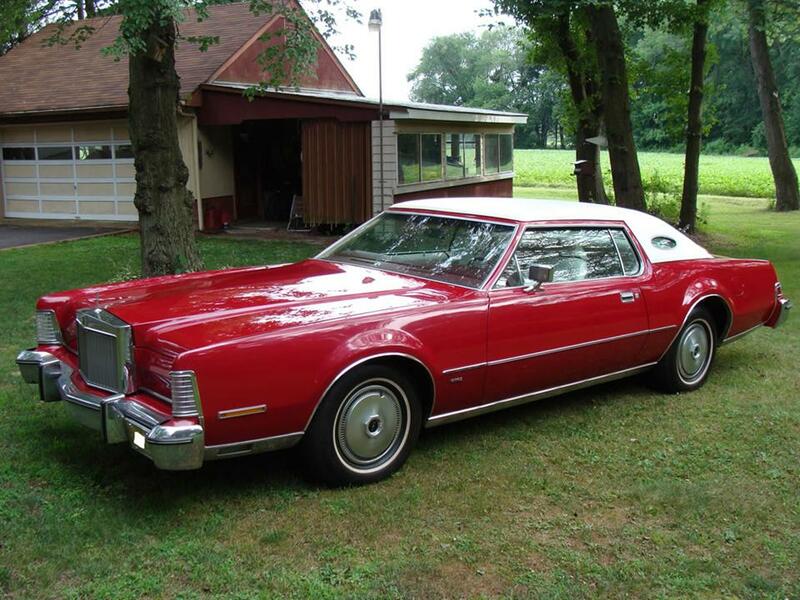 The one I’d be looking for is a ’72 without opera windows (so that the quarter windows go all the way back into the c-pillar) or vinyl top (to keep the moisture out of the body) but with the metal sliding sunroof. 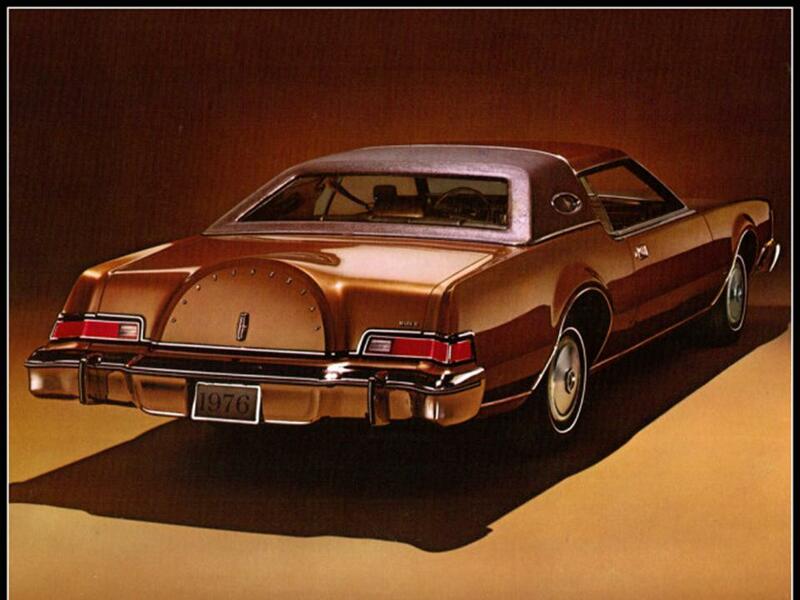 The anti-lock brakes on that model were called “sure trak,” were mechanically governed, and worked only on the rear wheels (go figure!). 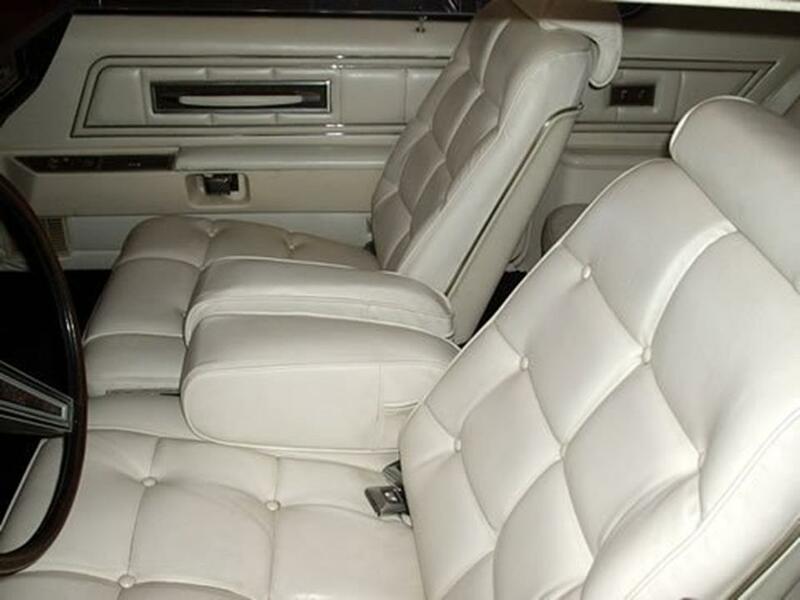 Either bucket or split bench-seats had, of course no lateral support and the back didn’t adjust or recline – but who cares? You’re not going to toss this around corners anyway. 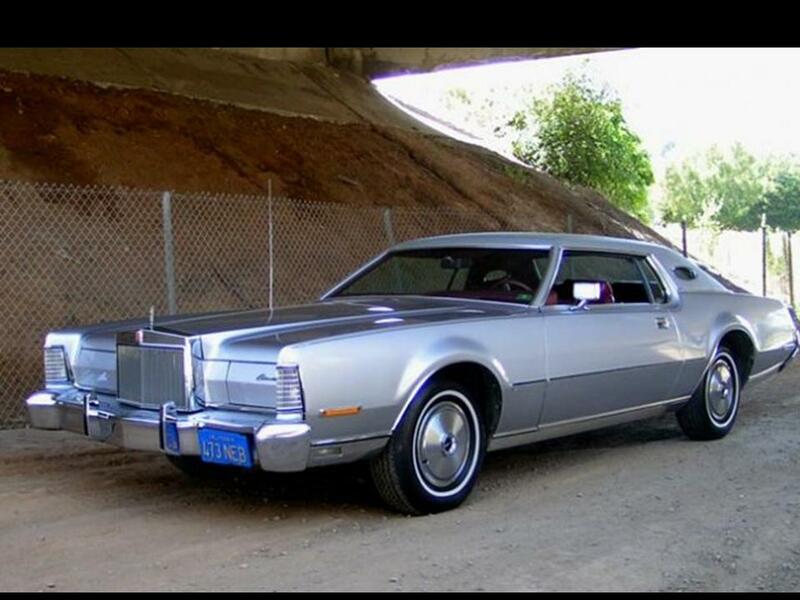 This is a CRUISER! 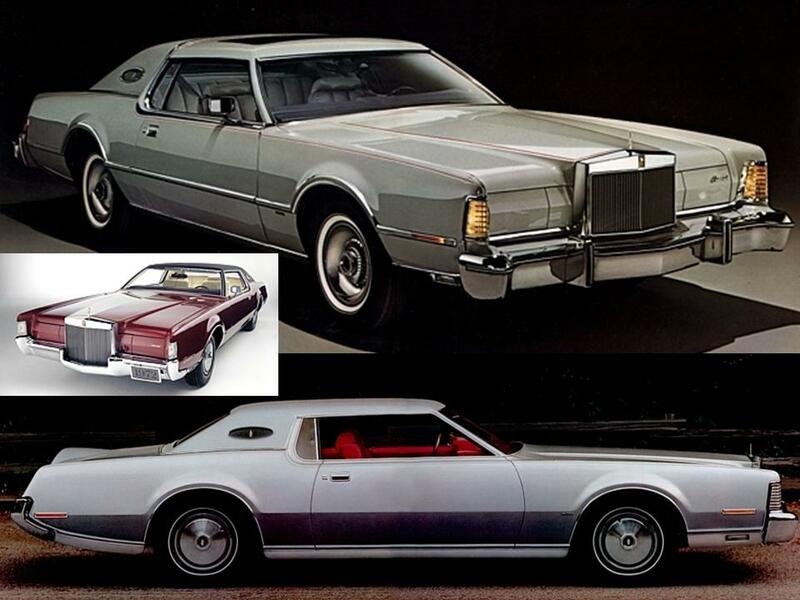 Any idea where they placed the build sheet(s) on a 1976 Lincoln Mark IV? 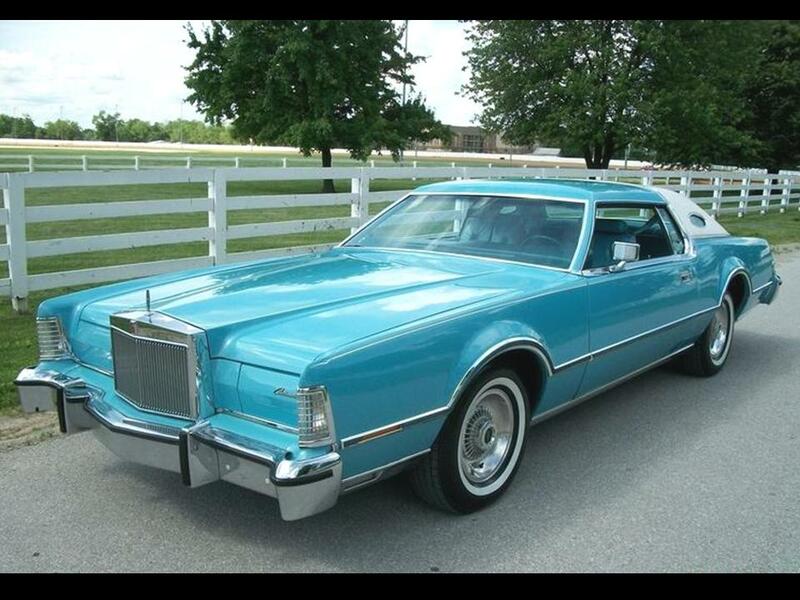 Where can I find a 1975 aqua blue diamond Lincoln Continental Mark IV with matching leather interior?? Where are you located? Can you supply pictures via email? 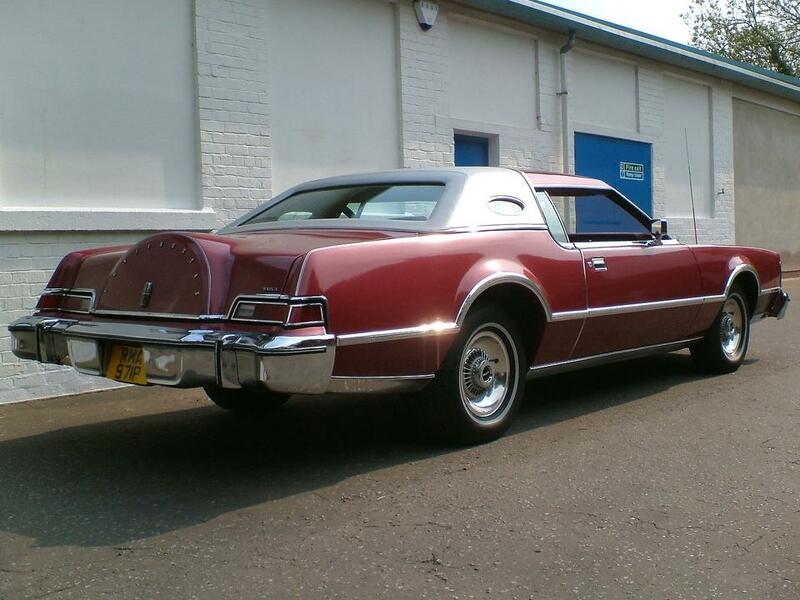 I had found one in Oregon but it was sold for $3,000 the day before I arrived. I’ll never forgive myself. Hello! Please do not supply phone numbers or any other personal information. To protect you, the system is designed to remove comments that contain such. Then why does your format ask for a phone number? It is not visible on the site, this feature protects your privacy. Hi guys and girls! 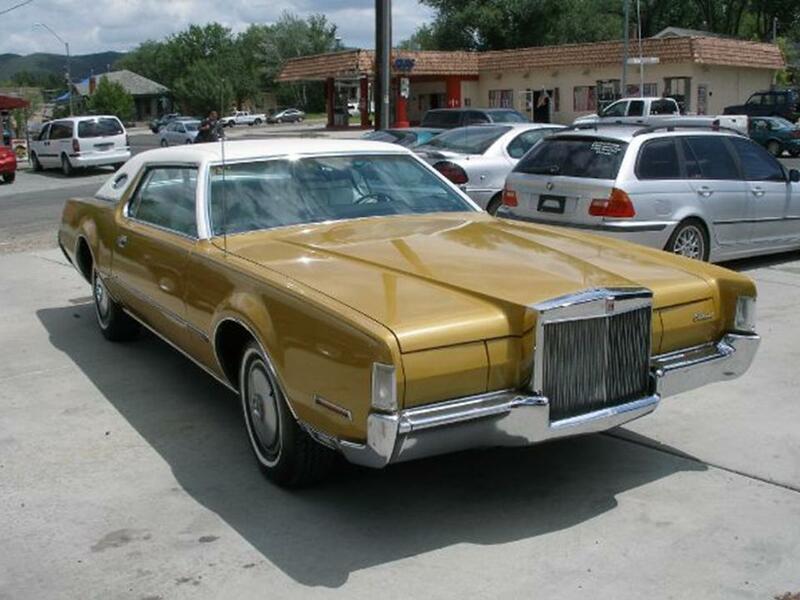 I just bought a 72 gold with 72 000km or about 42 000miles, everything is original i even have the original white wheels! 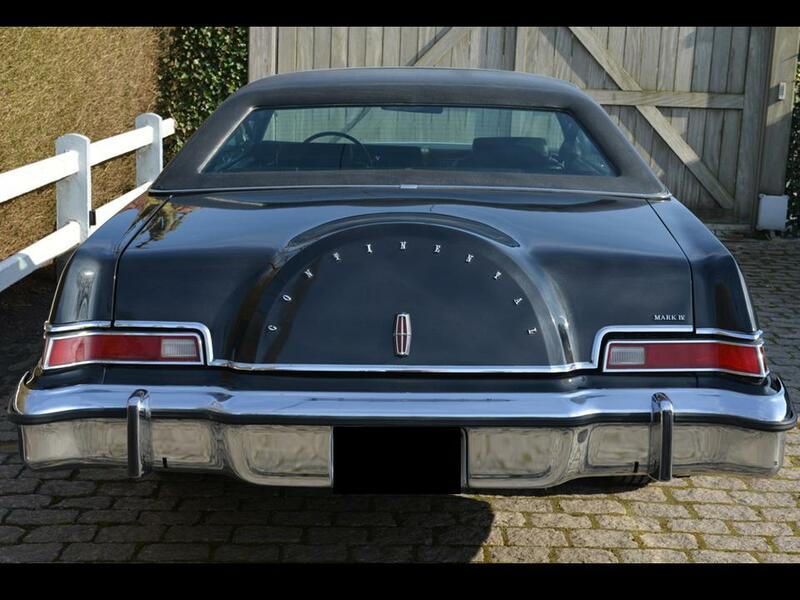 I would like to boost the 460 v8 engine, any recommendations? FIRST of all do NOT take that car out trying to make it perform as a 2018 model. MOST important…watch what type of fuel you are burning…absolutely NO CHEAP gasoline. At least 92 octane to be safe. 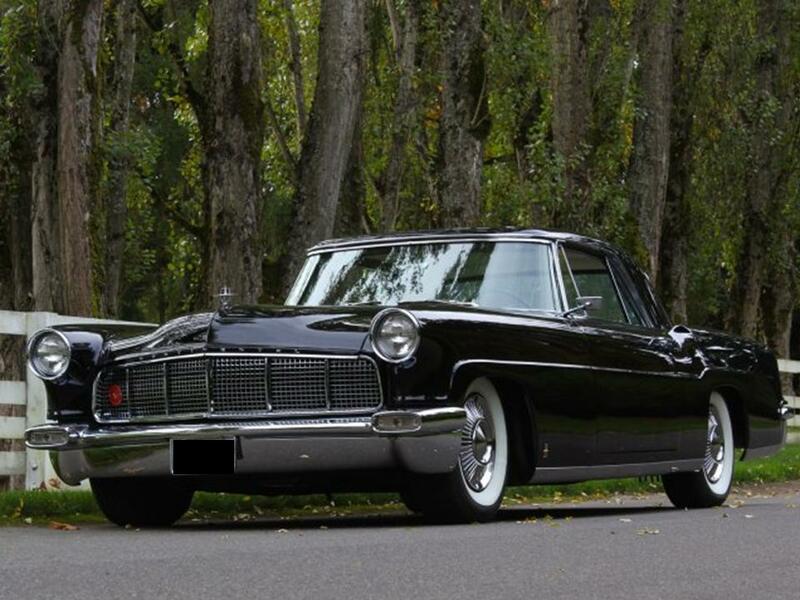 These cars were built at a time when ” low to no” leaded fuels were being introduced but by now people have made the proper adjustments in the engine to compensate. 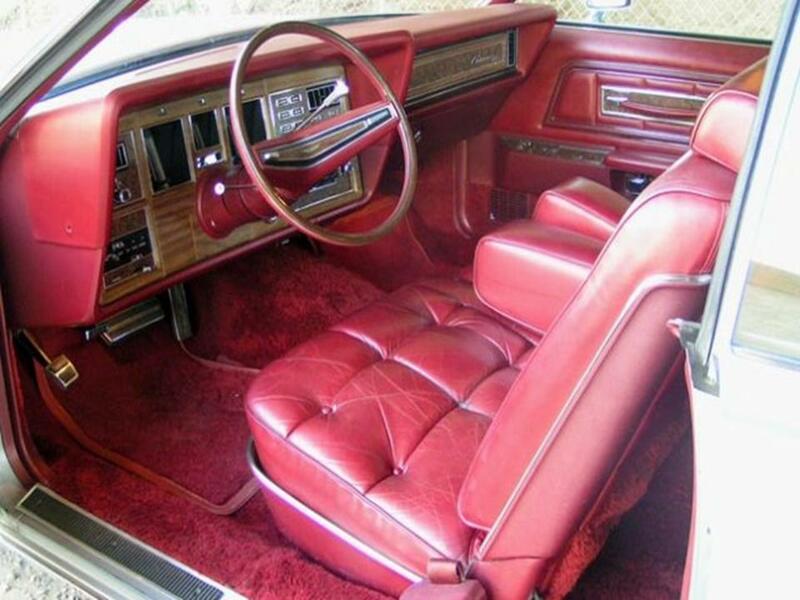 Depending upon how that engine was accustomed to usage, you must follow through as the previous owner otherwise you’ll turn this car into an expensive piece of gas-guzzling junk! 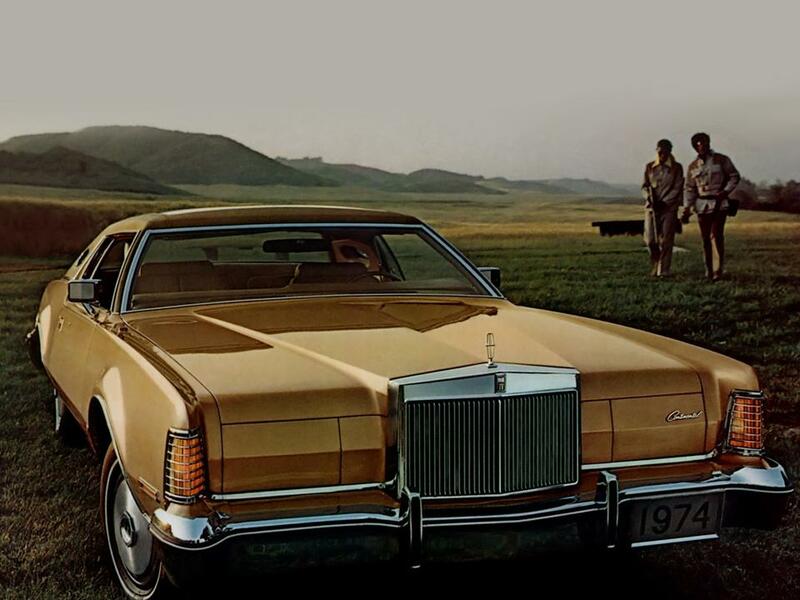 I had a 1973 Continental MK IV with mileage in the 40,000+ neighborhood and it HATED the anti-smog controls. I used only dealer belts under the hood especially for the Air Injection Reactor Pump assembly which constantly s-t-r-e-t-c-h-e-d those belts requiring frequent changes. There’s a way around it but the EPA would kill me if I mentioned it. 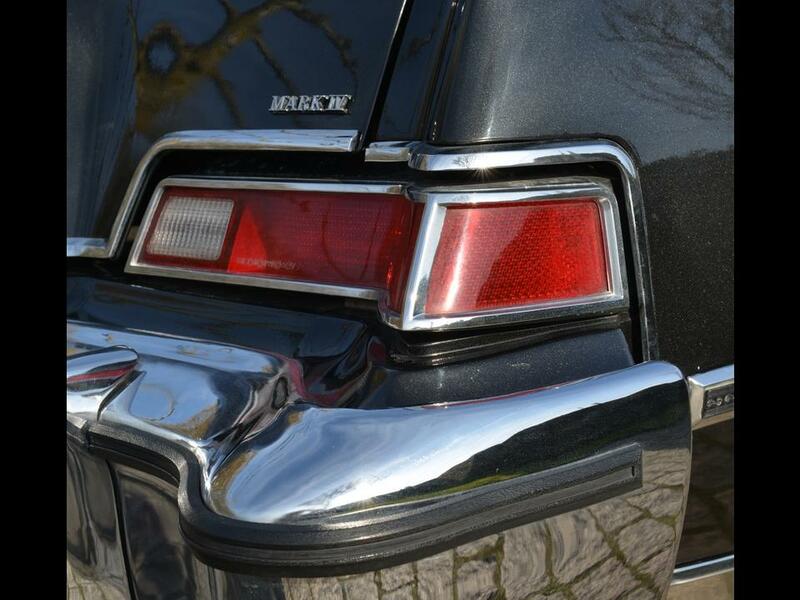 Cheap gas will make the valves ‘click’ even more noticeably when the engine is cold cranking. Keep the oil changed, as a rule of thumb. Just because the oil manufacturer’s say one may drive up to limits but a few quarts of oil are a lot cheaper than an engine rebuild. 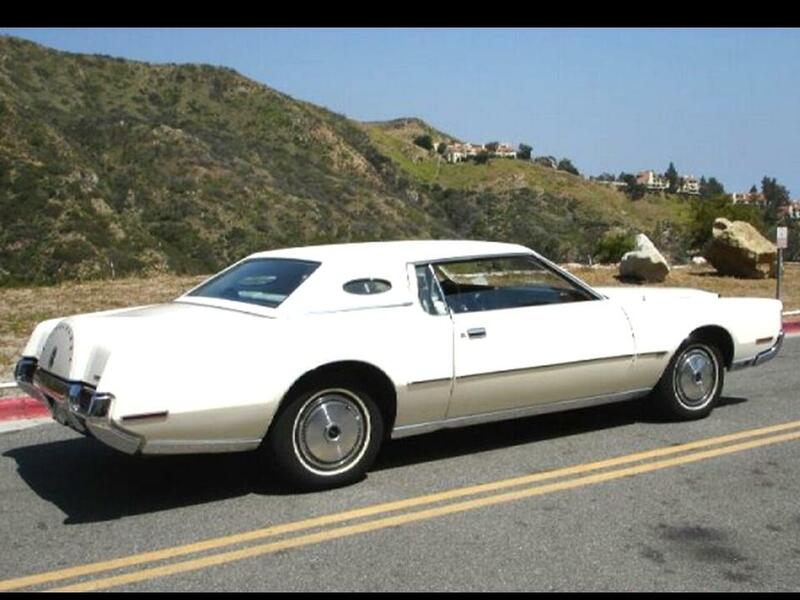 Baby that ’72 because it will turn to junk quickly if you neglect it!!!!! 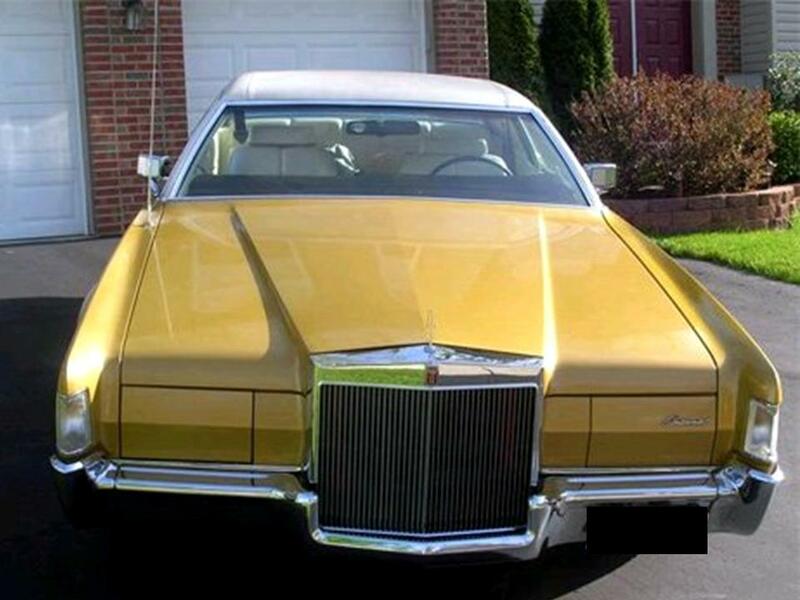 The Lincoln Motor Division of Ford was beginning a ‘questionable’ period of manufacturing during the 1972 through the 1976 model years by which are affectionately referred to as “Ford’s Luxury Lemons” this included both Continental MK Series and the Thunderbird. 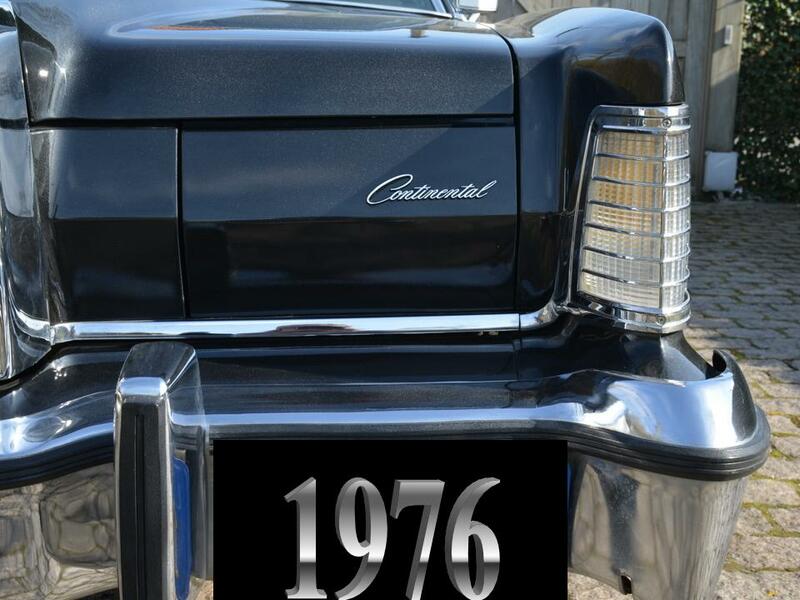 Aside from trying to make that 460 run efficiently on regular grade unleaded gasoline becoming a nightmare, they were also using improperly refined sheet metal which caused the beautiful Continental Mark Series to be eaten relentlessly by rust. 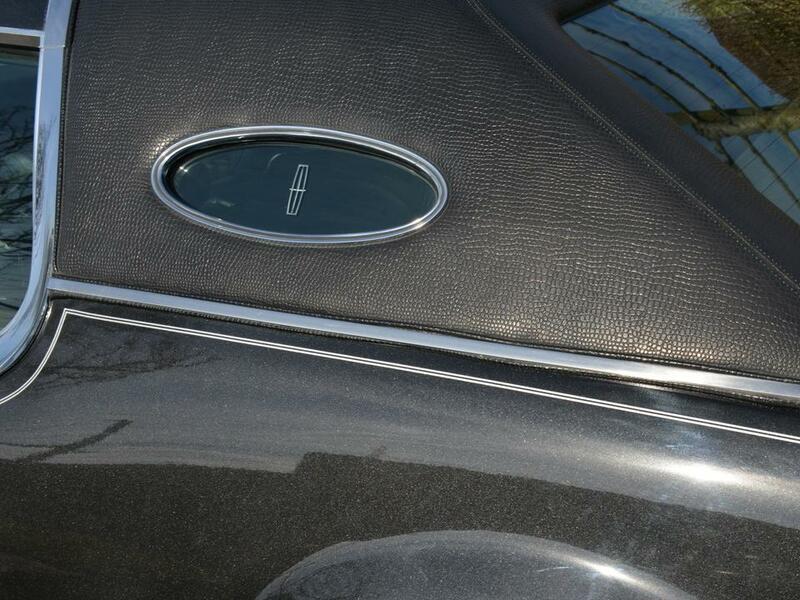 Every where one of those weld studs is located a plastic clip holds the chrome trim – which is a joke by all means. I had them removed from the MK IV I had and the holes filled with brass, so my car didn’t rust embarrassingly as the others did when driven in the snow belt where I reside in the USA. 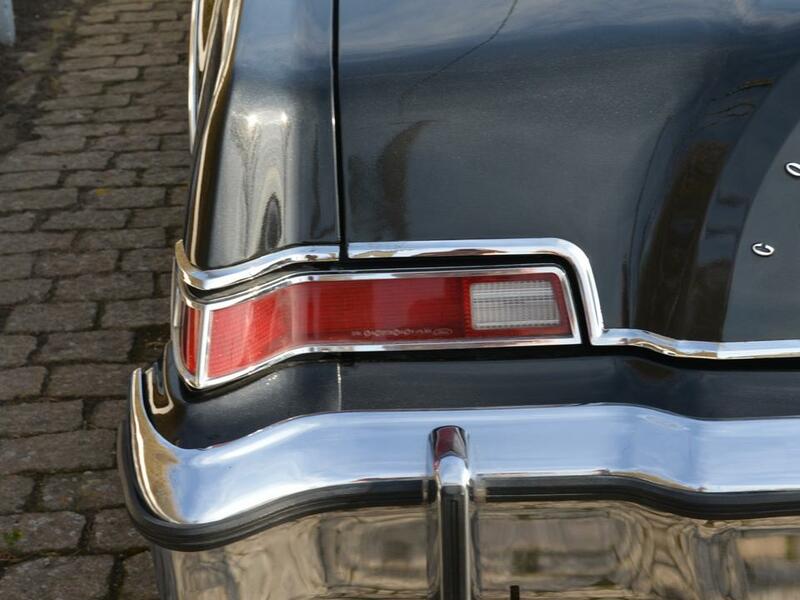 Your car will corrode around the rear side makers lamps and rear deck lid prominently so make certain you pay attention to these areas. 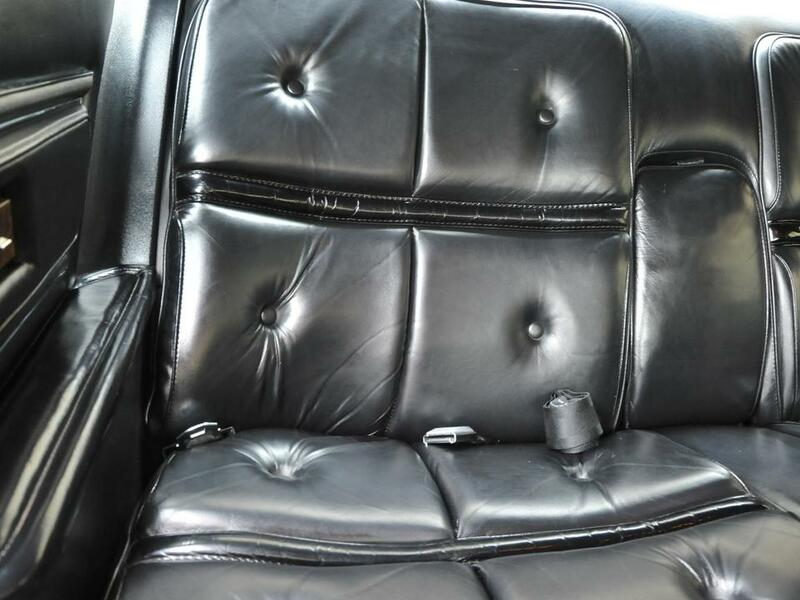 Also the chrome trim along the lower body sides – anyplace you see chrome trim – there will be a plastic clip unless the previous owners had them removed. 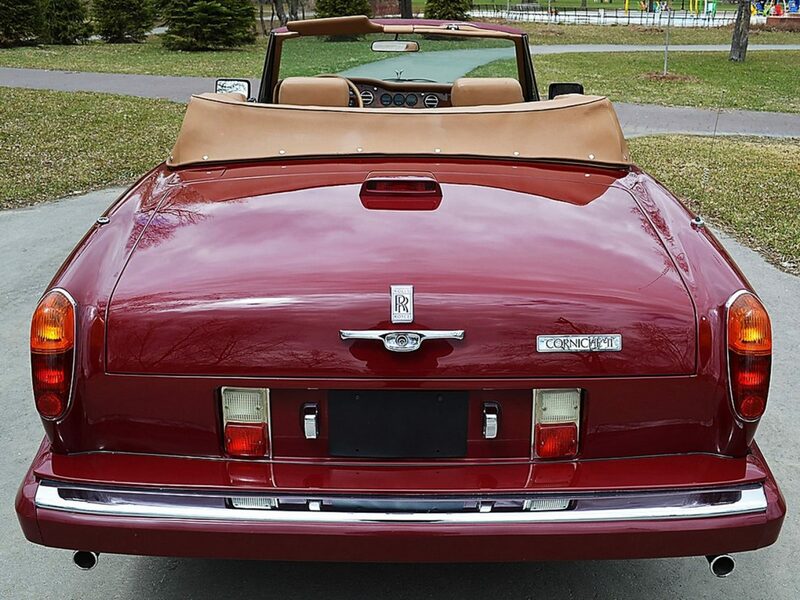 It’s just a good idea not to drive Continental Mark Series cars where calcium chloride is dispensed on roads during winter months. 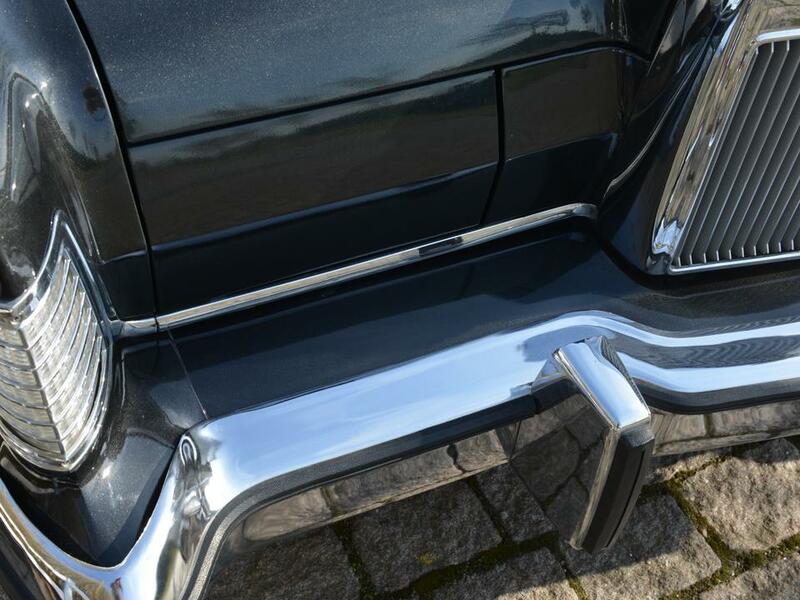 You also want to look in the trunk around the wheel wells for corrosion…serious rust in key areas render some cars useless regardless of how pretty they are and how the previous owners took great care in maintenance. Rust will eat a FORD alive, I’d keep it out of salted roads. 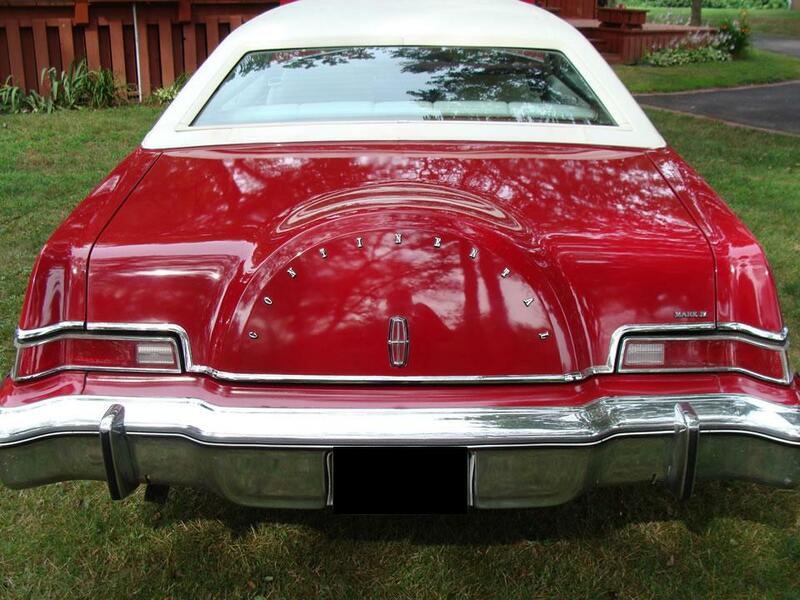 Rust can attack the seams in the doors, rear deck lid, and hood eating its way from the inside out. Lincoln left many areas vulnerable to prolific corrosion. This is why you don’t see more of them. You also want to make sure all of the ‘shims’ are in place. Shims are used when the tolerances of the sheet metal stamping dies are off-spec to make the doors, hood, and front fenders line up so well. 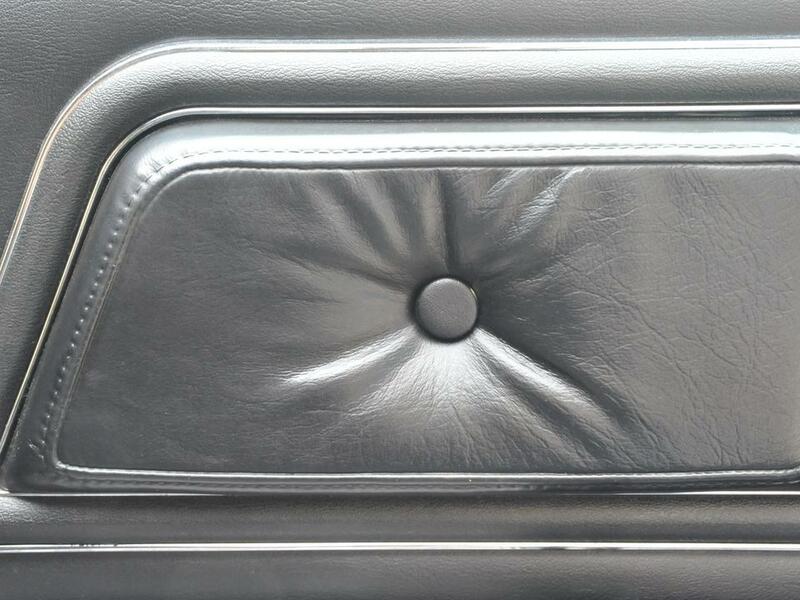 They will pop out when the bolts loosen as the car ages. 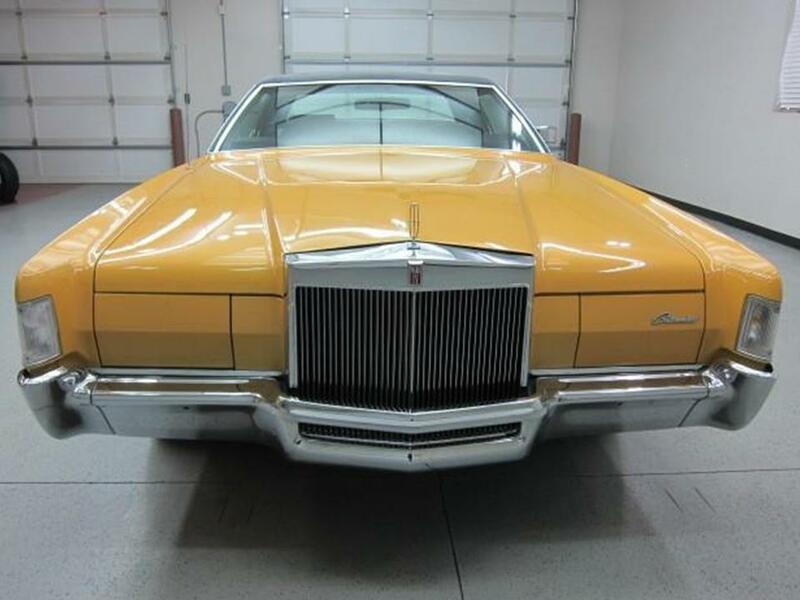 This is why some of the older Lincolns “look tired” because their body panels don’t lineup properly. 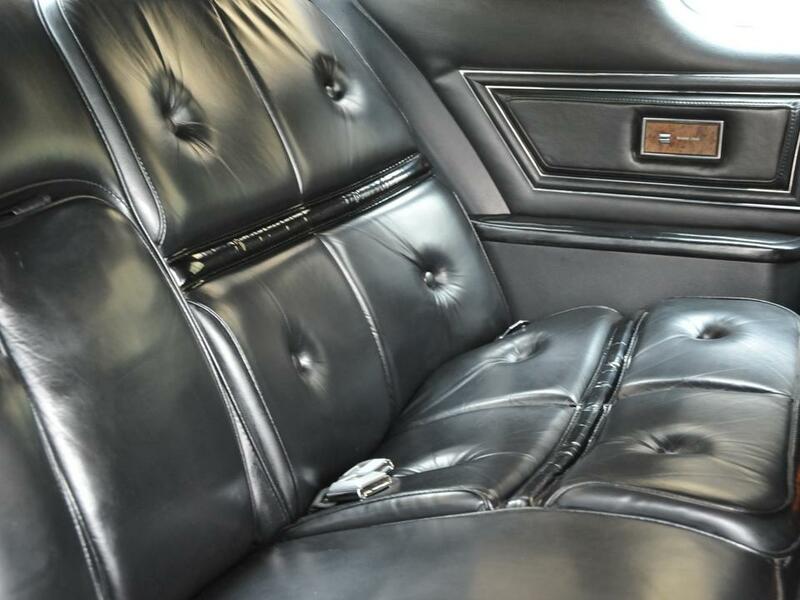 You have to take the car to a body shop from time to time and have the doors, hood, and front fenders checked for alignment, but of course, this depends upon how often you drive the car and under what circumstances. Those body panels are heavy! 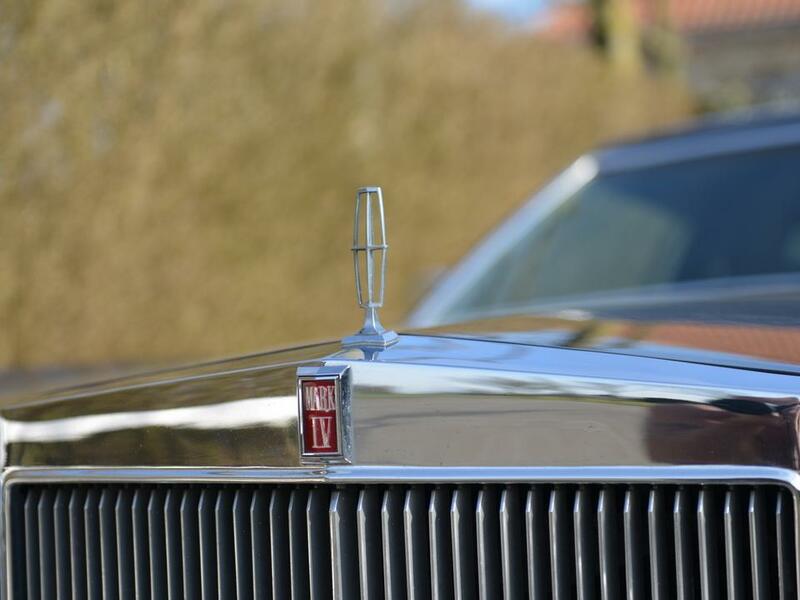 If you take proper care of a MK IV it will out run and out last everything on the road. 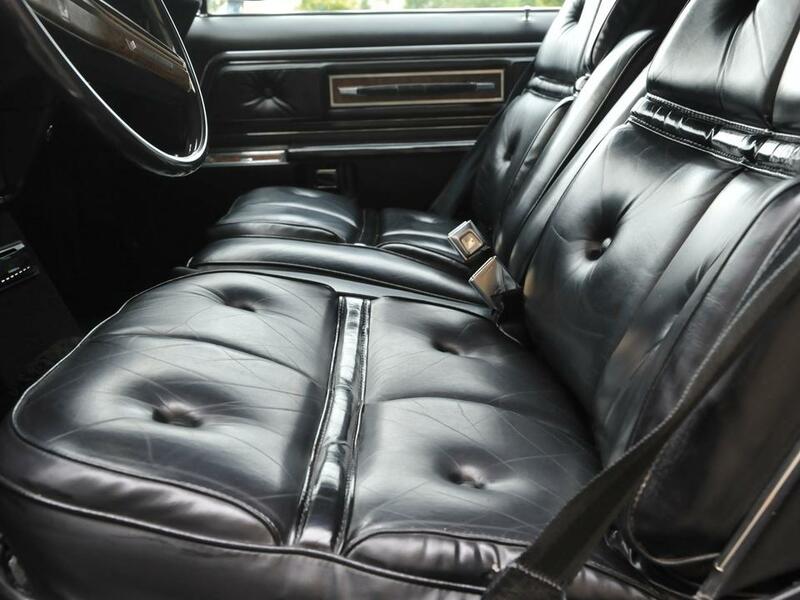 There are some idiosyncratic issues that vary from car to car that’ll snag you from time to time. If you don’t keep the oil changed it will start using/burning more oil when you reach 70,000 miles. 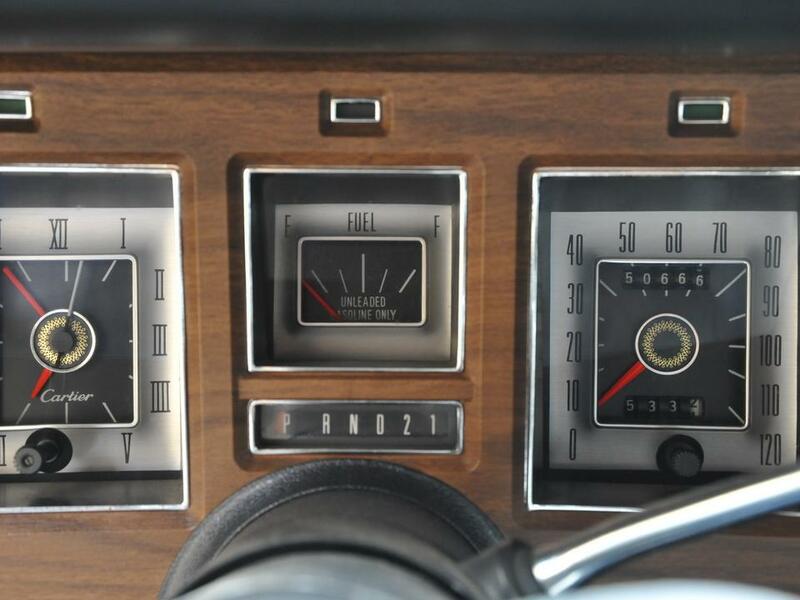 With the miles low as you stated…learn how to drive the car! To make it simple…you cannot loan your shoes to a friend even if they wear the same size shoe BECAUSE they will NOT walk the same way you do; therefore, when you get them back you won’t be able to walk in them again especially if the friend walked a long long distance in them. 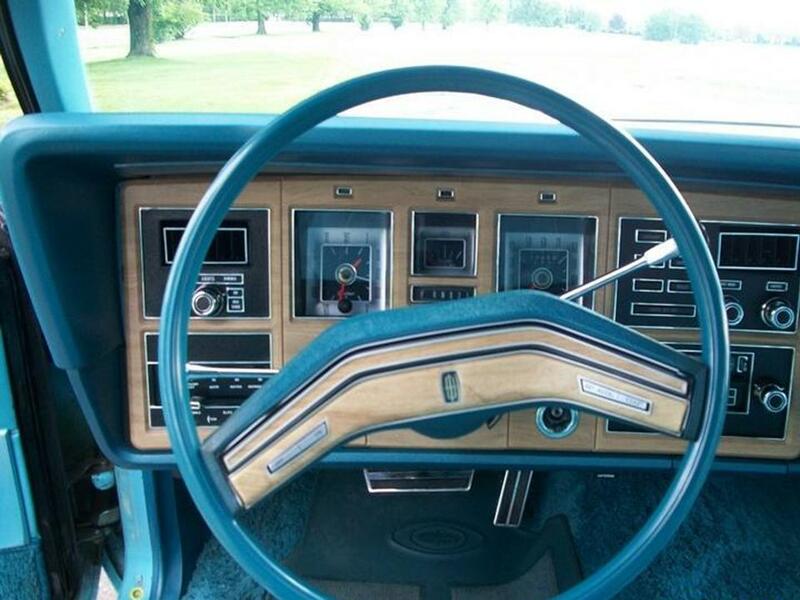 Same with a classic car with only 40,000+ miles on the odometer. 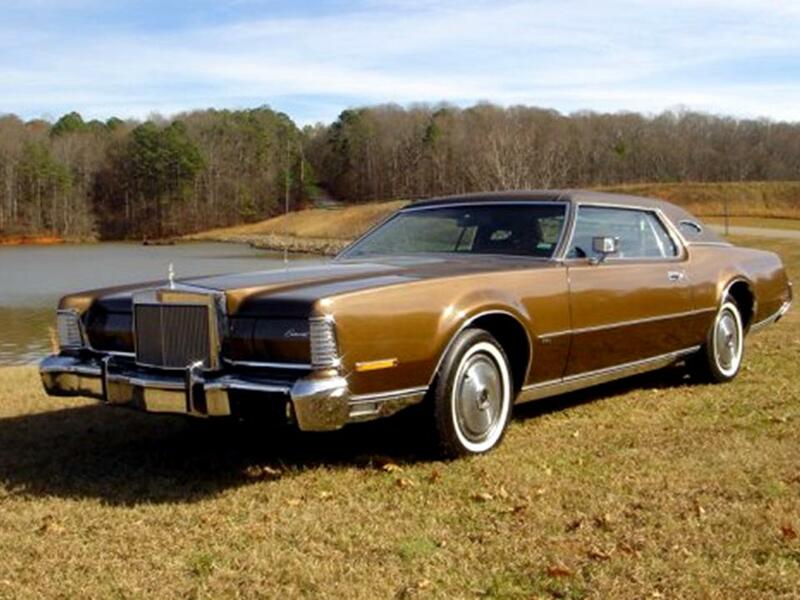 If a little old lady only drove that car to church on Sunday, Bingo on Thursday, and the market on Saturday – and you take it out after all these years of it sitting in the garage – sprinting from 0-60 mph…it could retaliate by throwing a rod, blowing a head gasket, or just develop nasty leaks all over your garage floor to get back at you! Baby it, get to know it…but still REMEMBER IT IS NOT A 2018 MODEL AND WILL NOT OPERATE WITHIN THOSE PARAMETERS OF A NEW CAR!!! 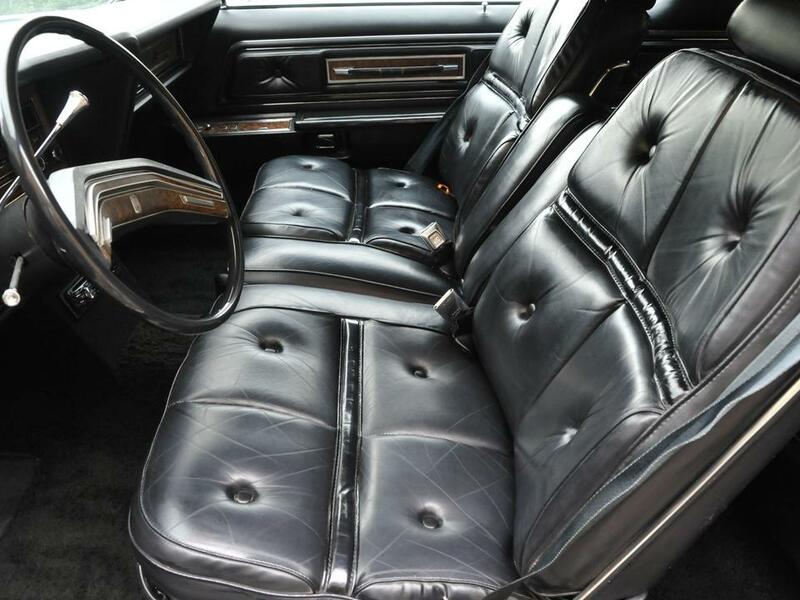 This is one of the biggest mistakes people make when they find an old gem…it’s a collector’s car – there’s a distinct difference. 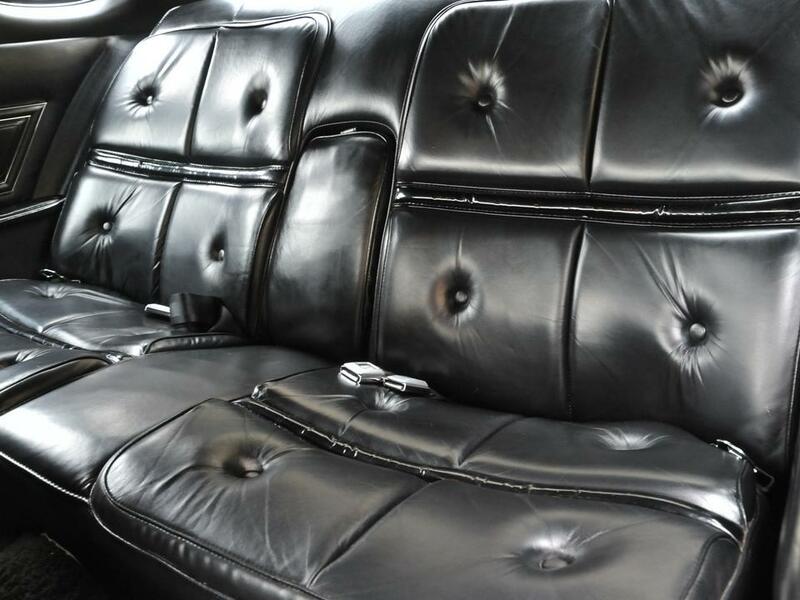 They see how ‘new’ and good it looks – they forget – the old girl is OLD and requires a “collector’s touch” with everything! 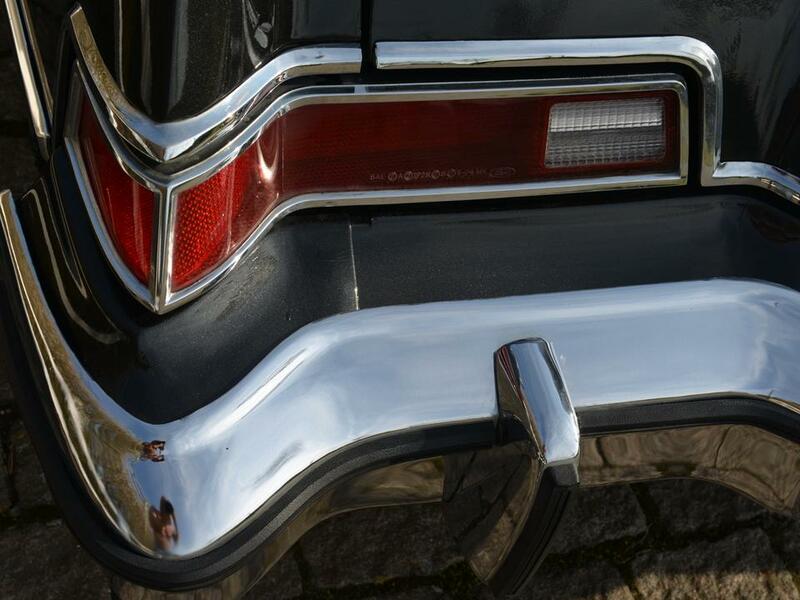 Leave it alone until you are familiar with it from bumper to bumper. 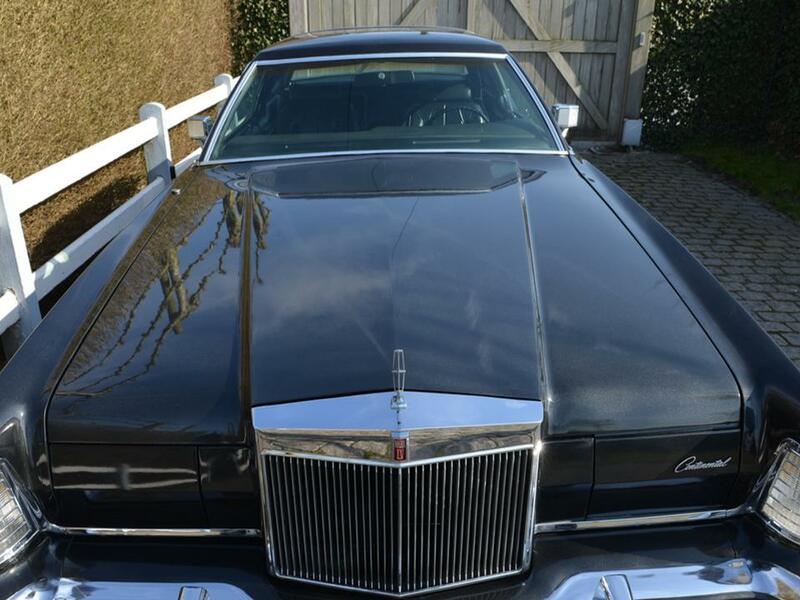 Then gingerly train ‘her or him’ to become YOUR collector’s car, not an everyday beater!!! When I wrote the original copy I was in three minds, I am looking at my collection back in the 1972 time period in a photo. 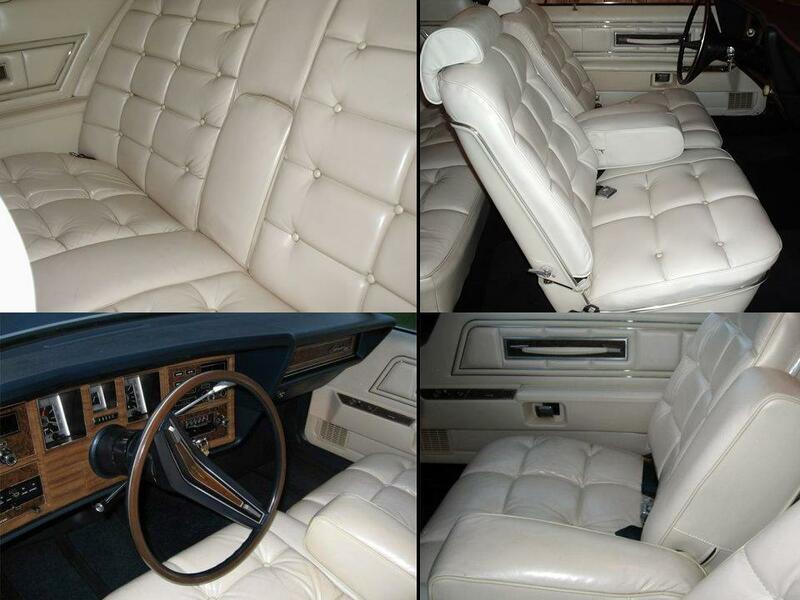 I had a 1972 Sedan deVille finished in St. Moritz Blue Firemist with a white vinyl roof. 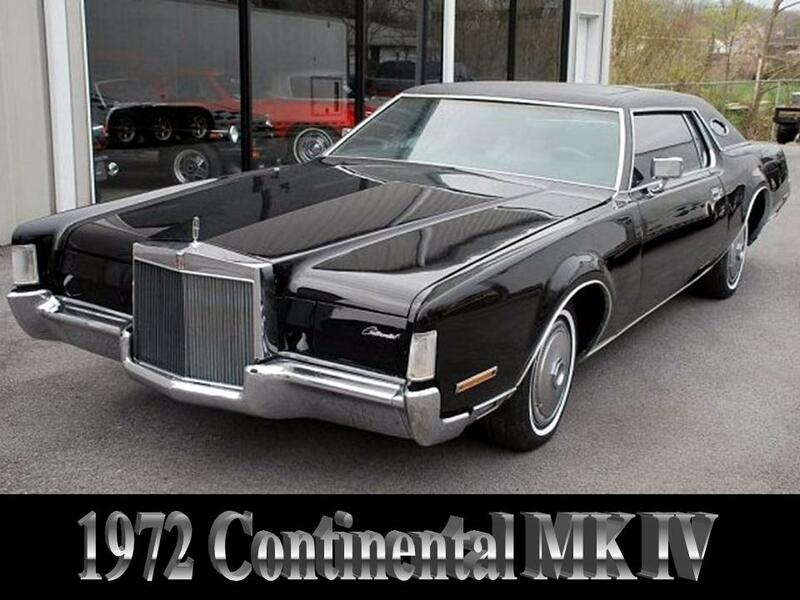 I also had a triple white 1973 Continental MK IV and a triple black 1972 Continental MK IV.